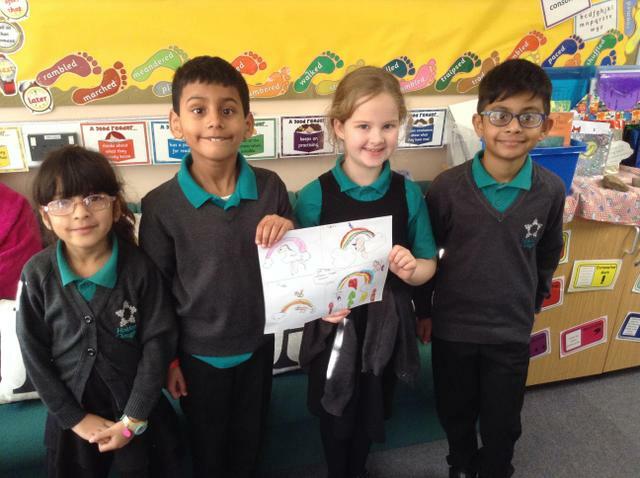 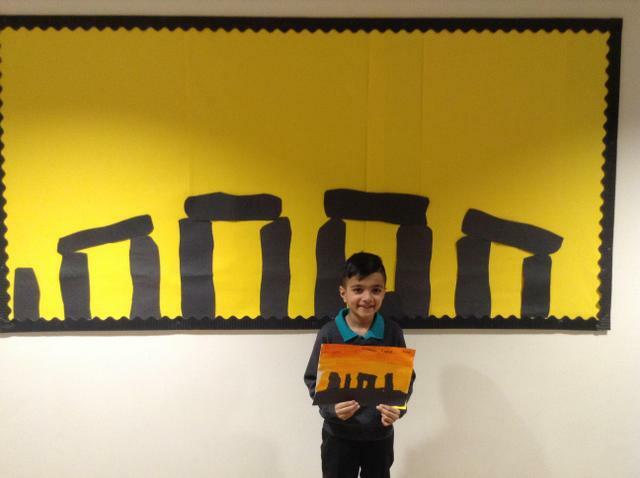 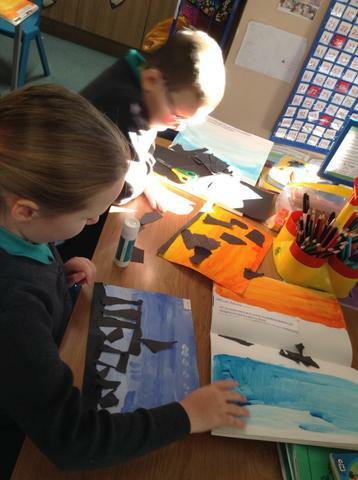 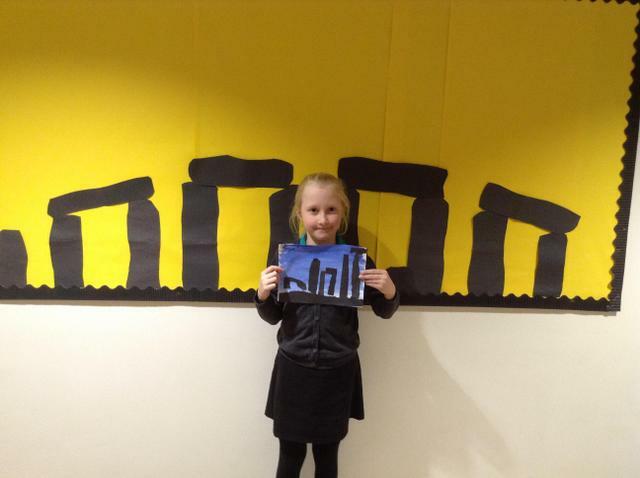 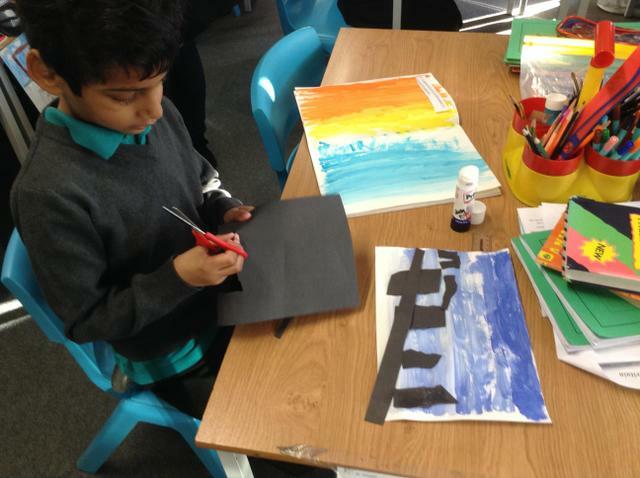 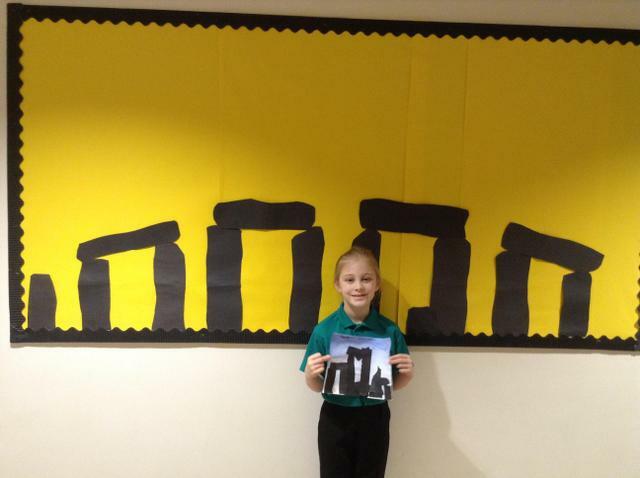 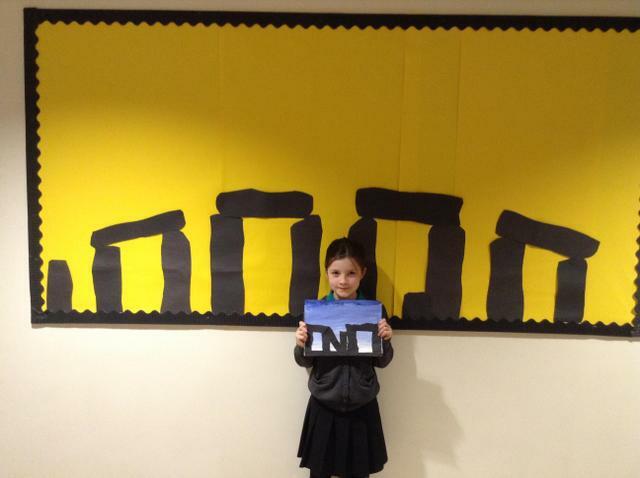 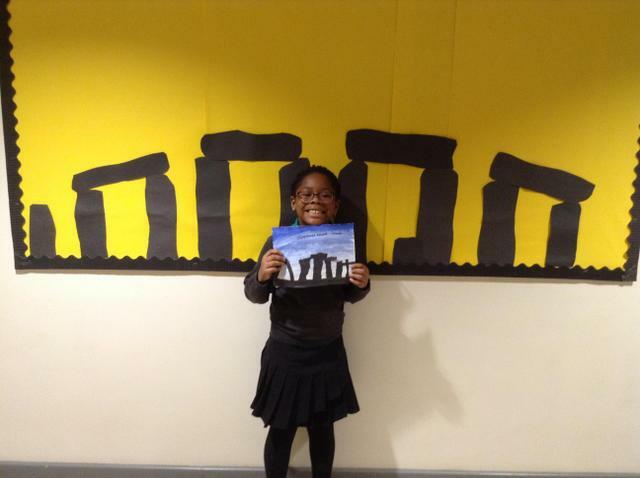 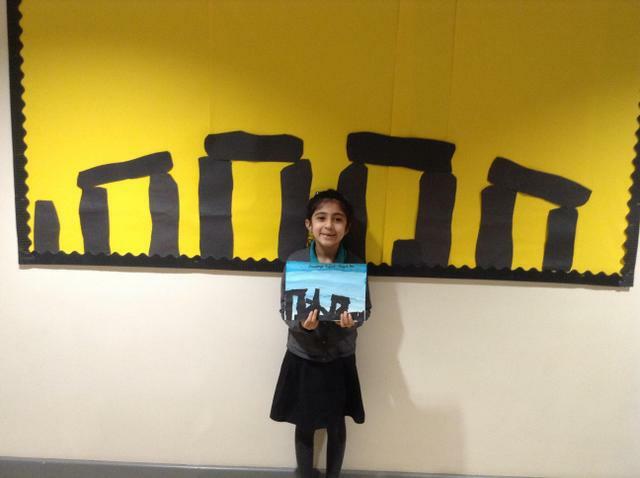 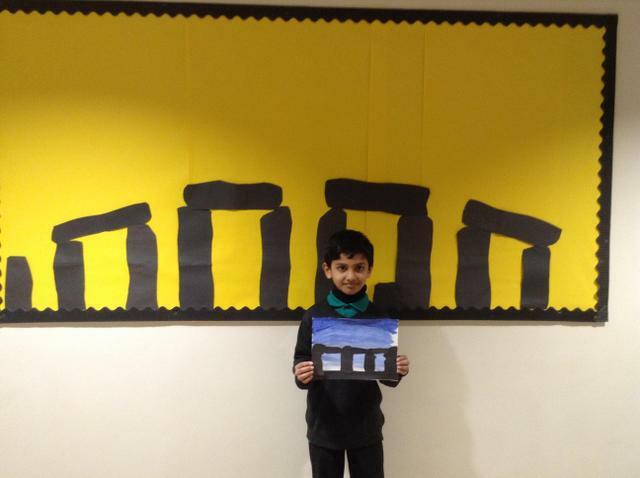 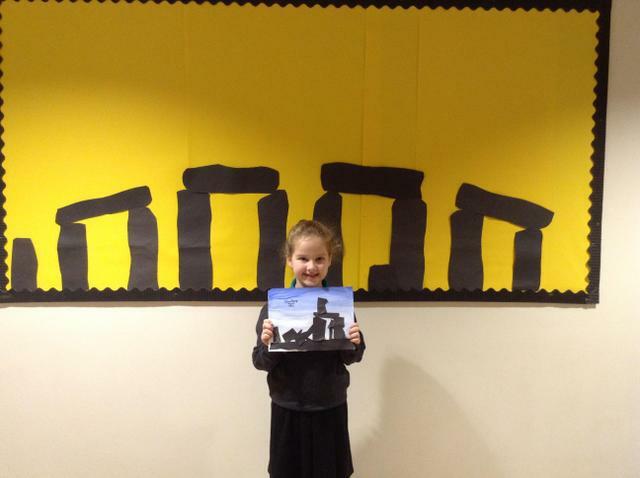 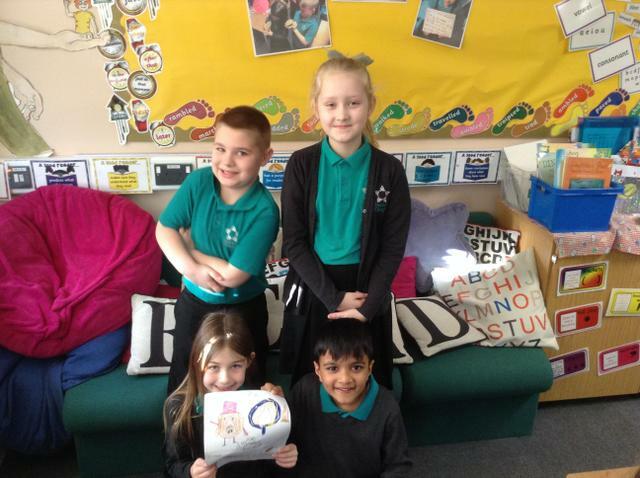 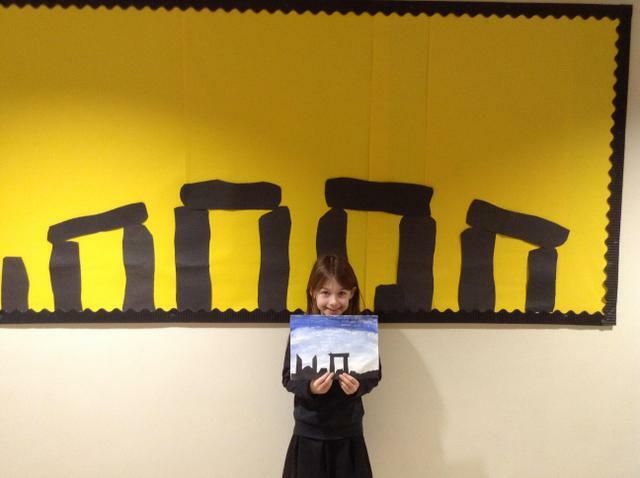 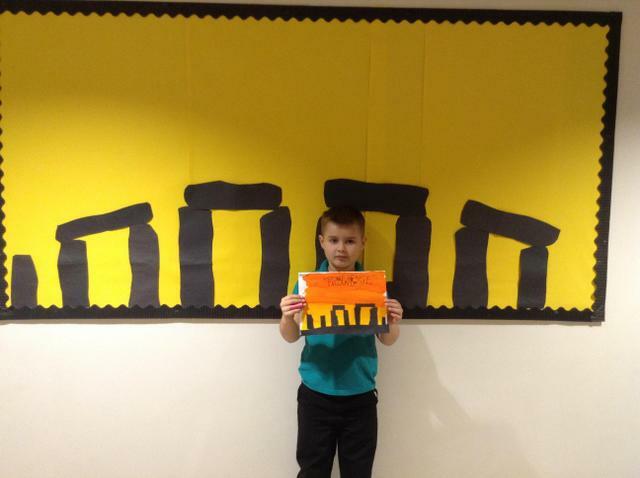 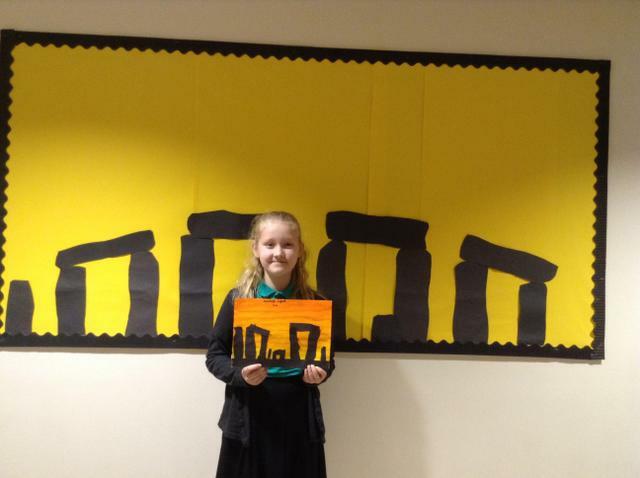 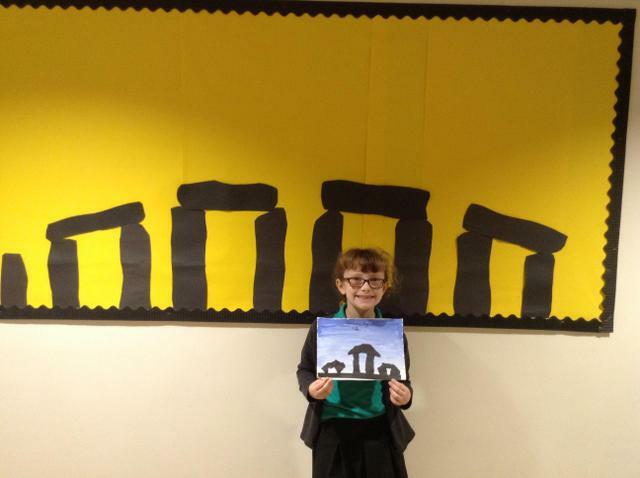 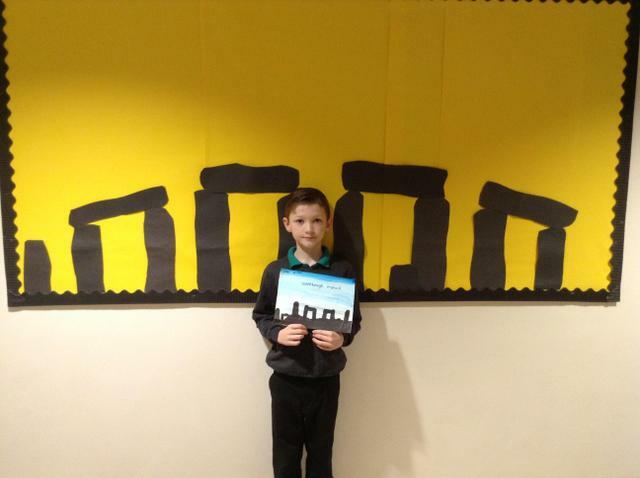 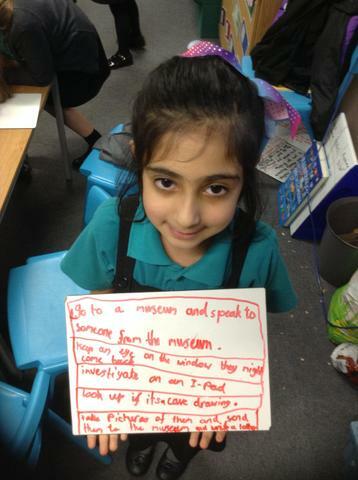 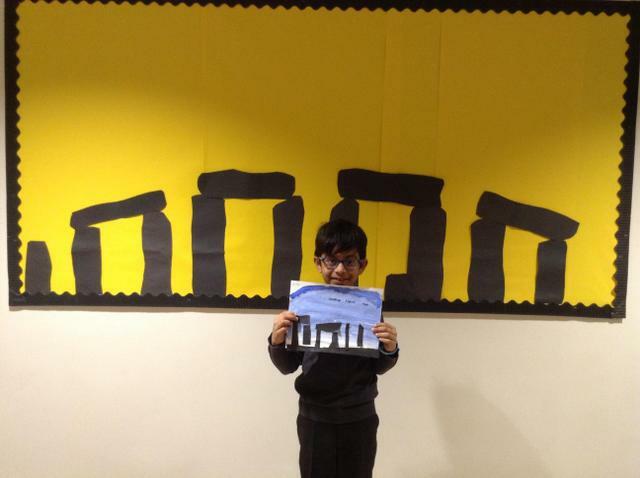 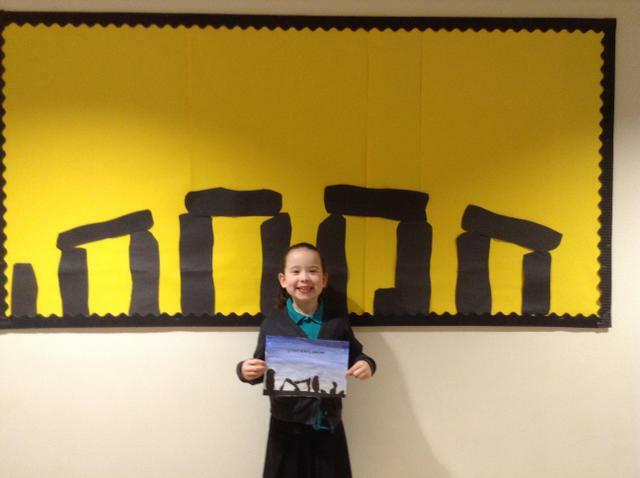 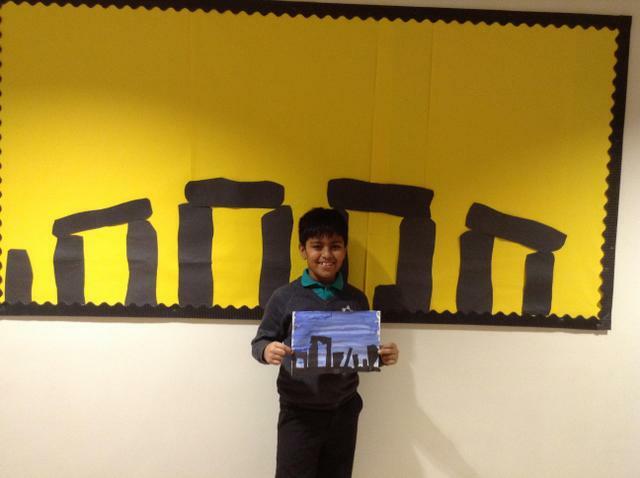 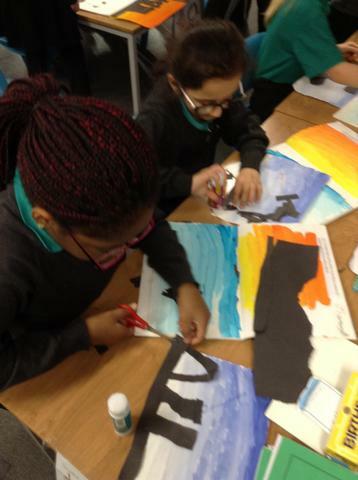 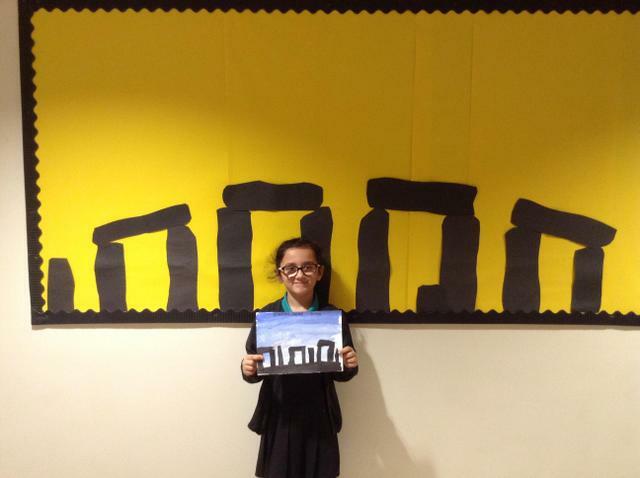 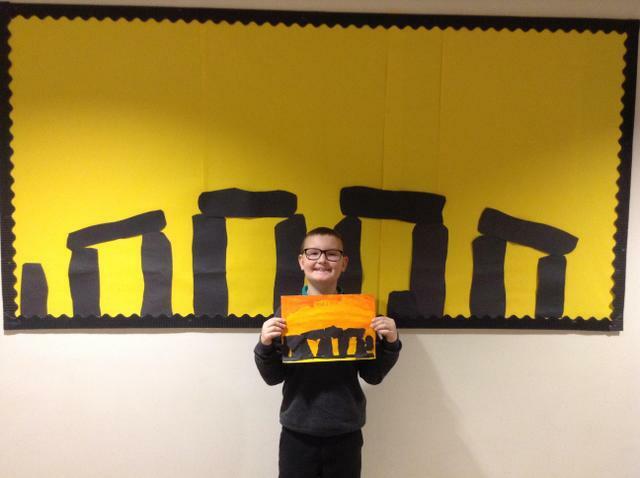 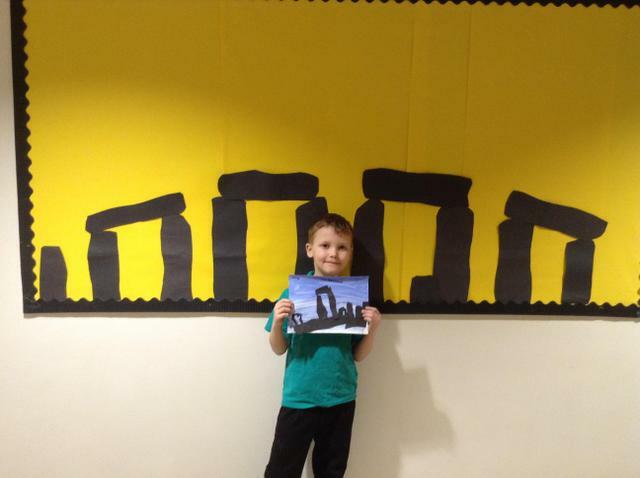 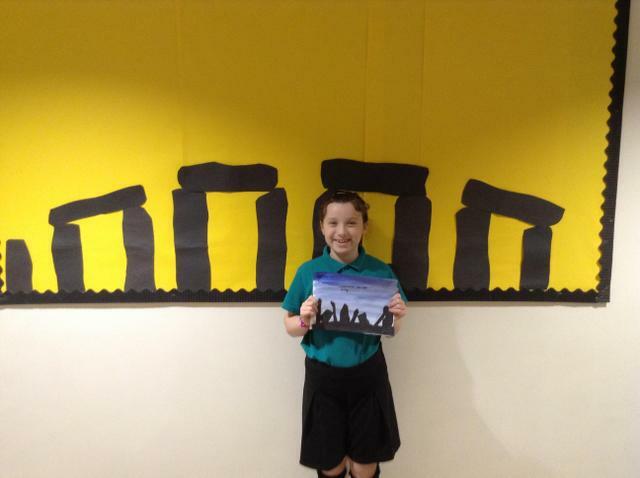 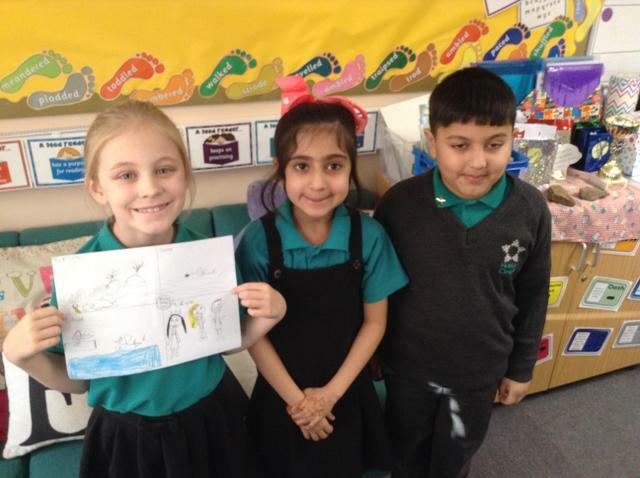 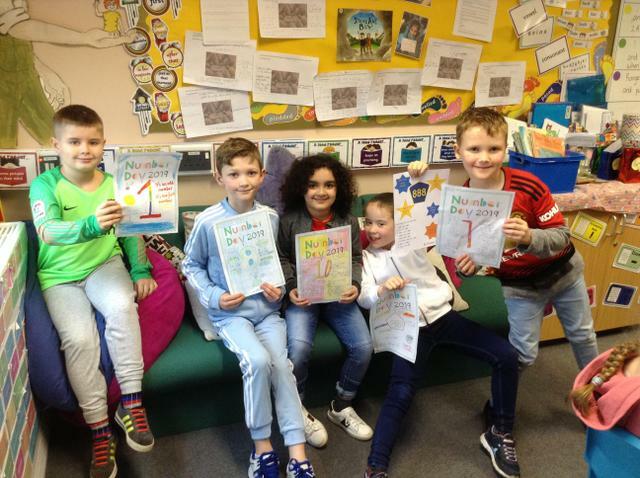 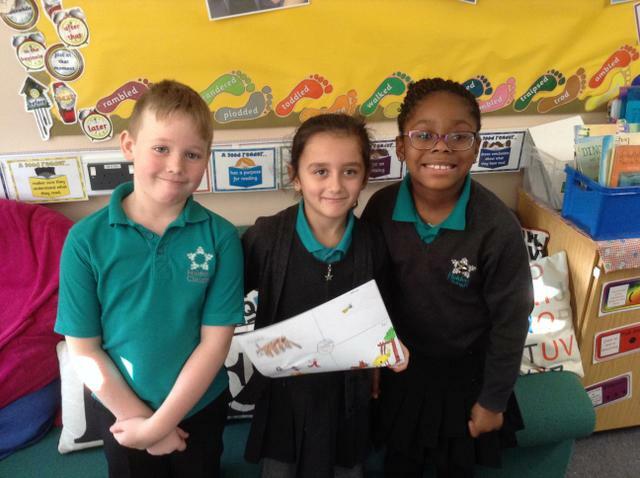 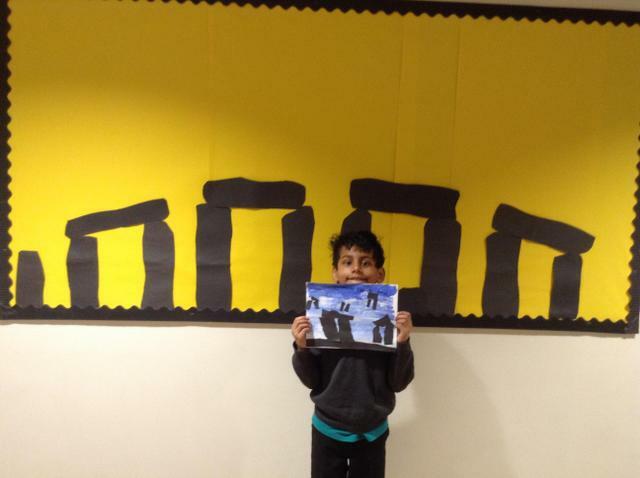 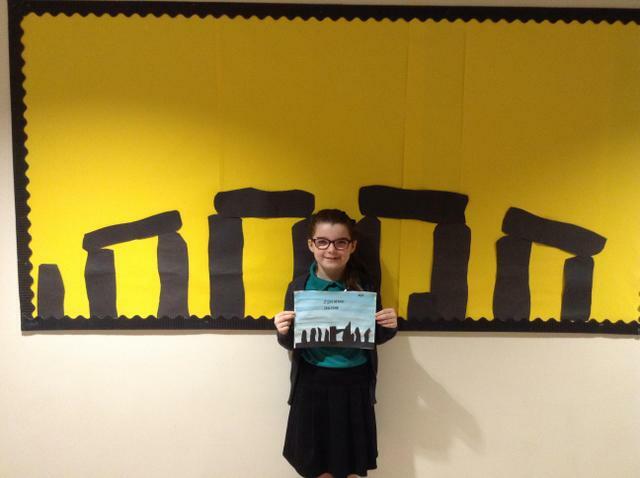 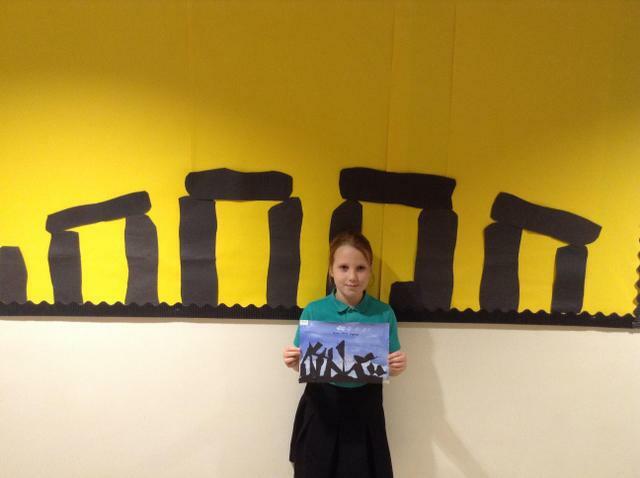 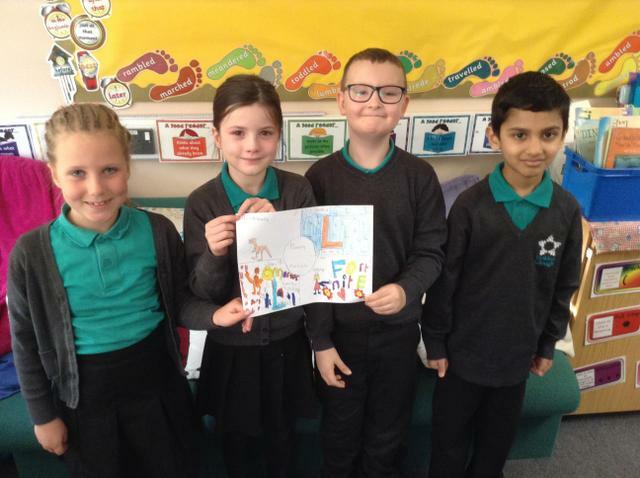 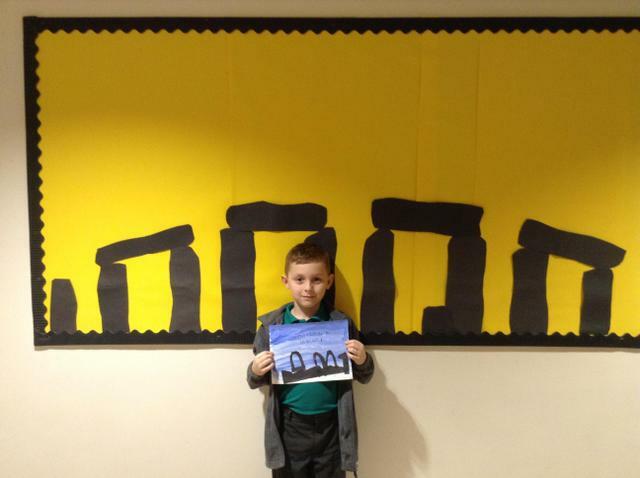 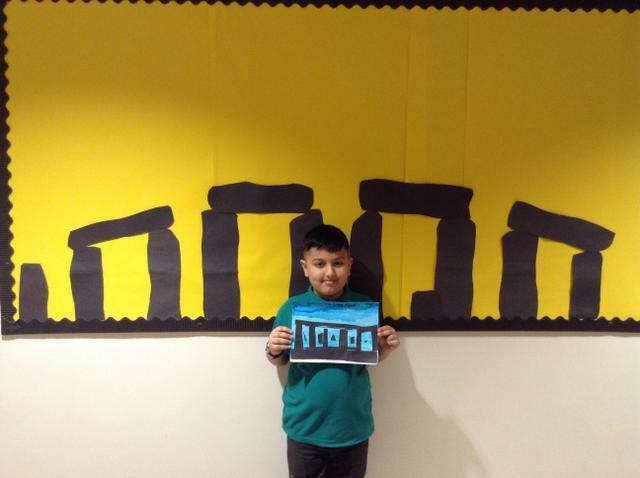 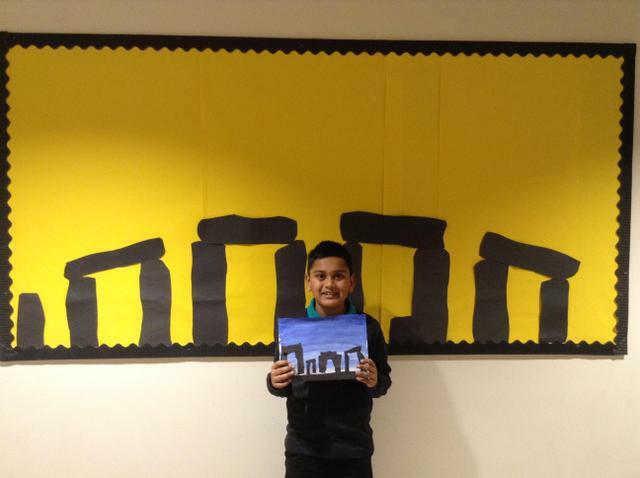 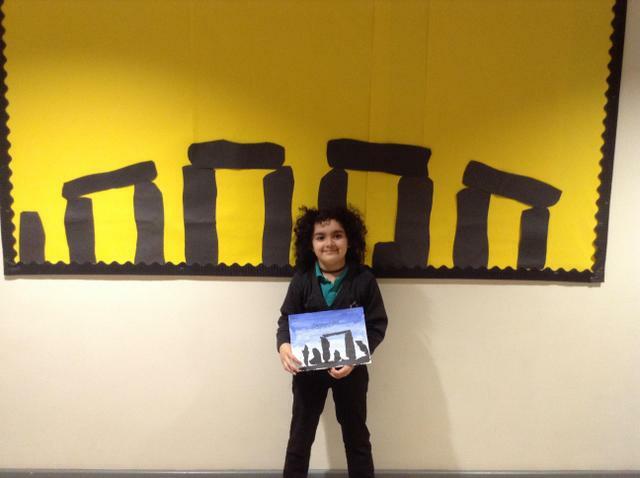 We love our Stonehenge art work and homework display. 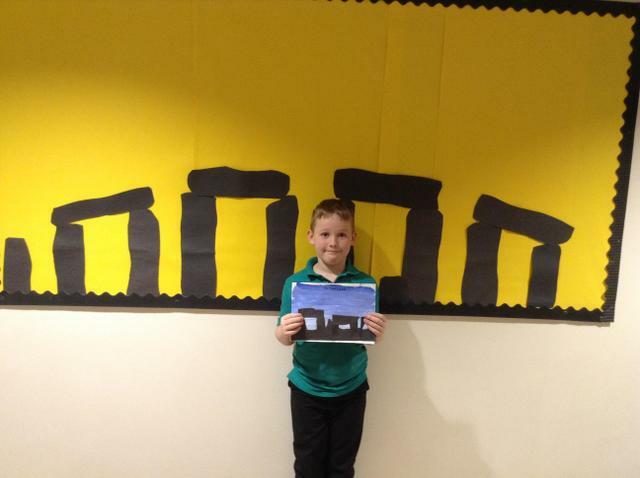 Stonehendge art work. 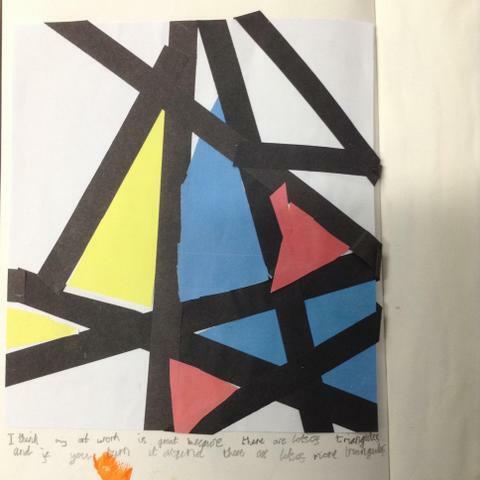 we experimemted with colour and, shape. 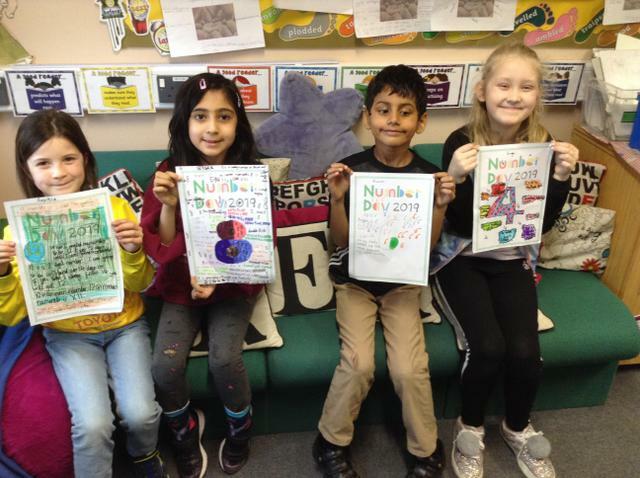 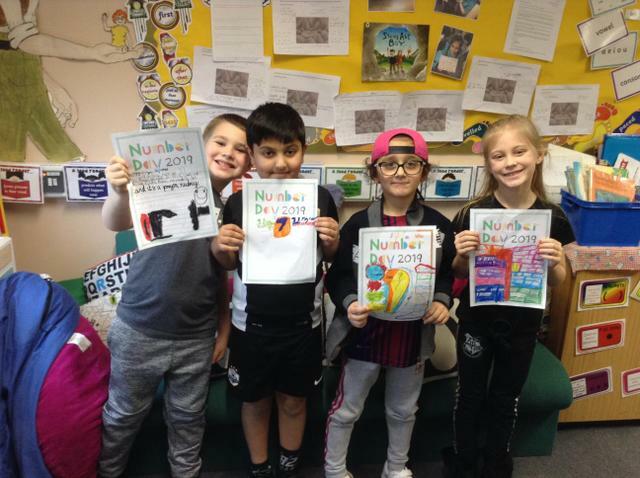 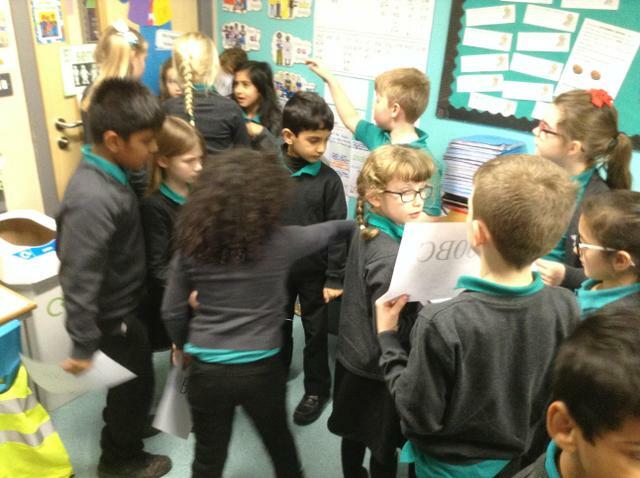 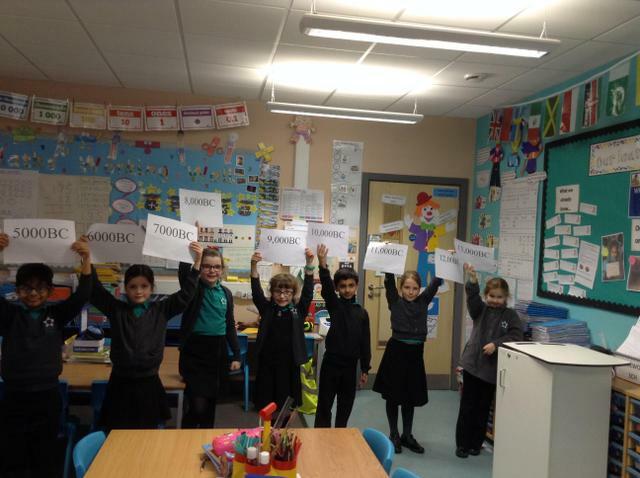 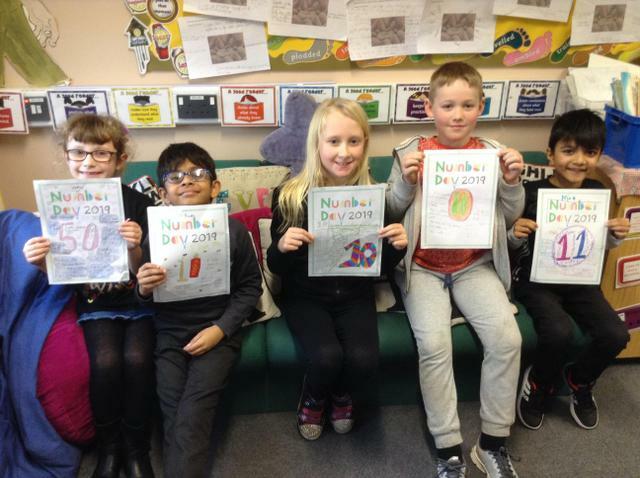 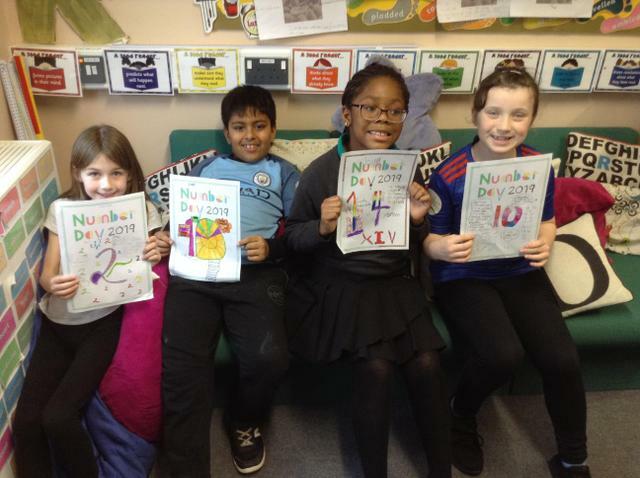 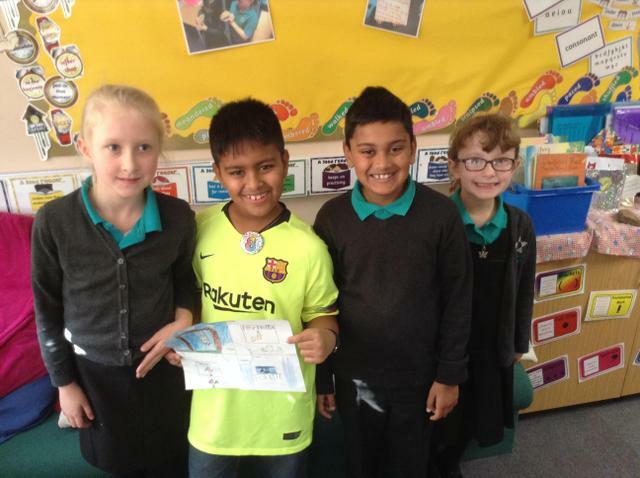 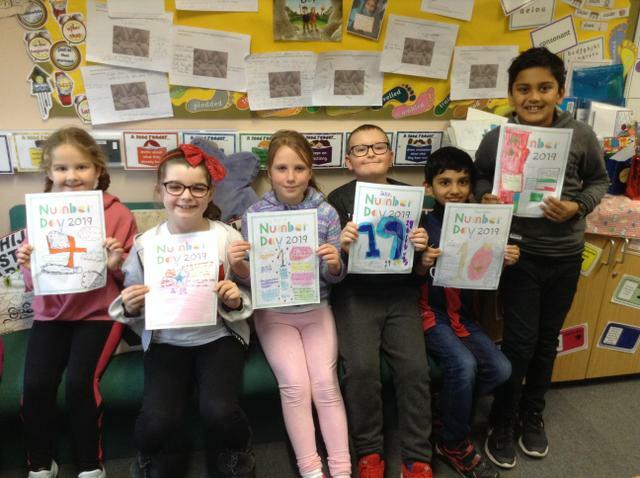 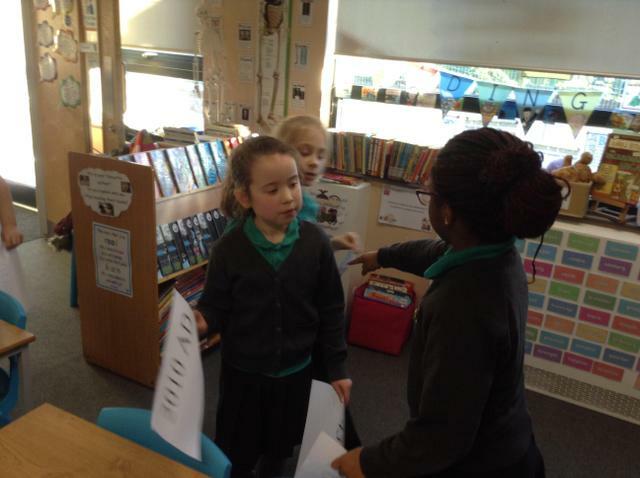 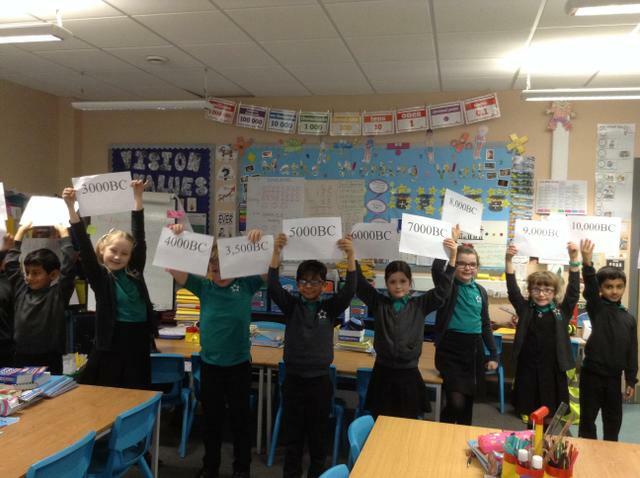 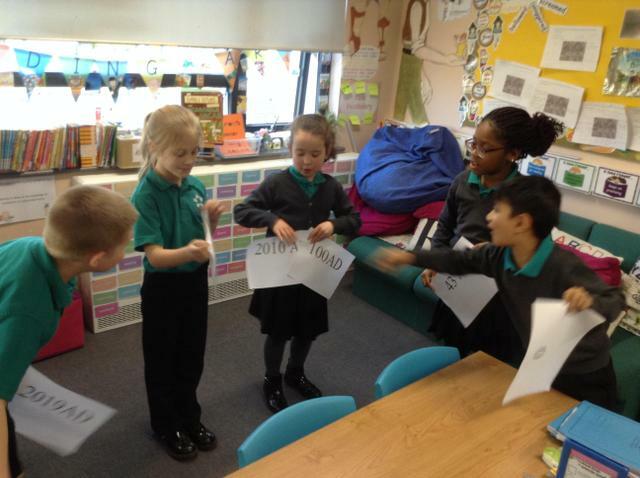 Sharing our number facts on Number Day. 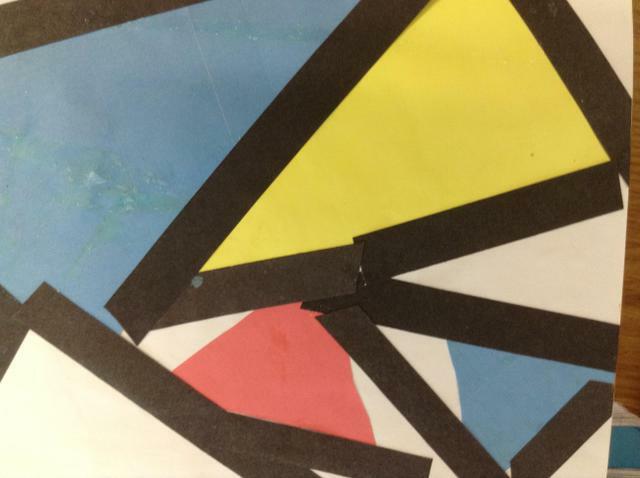 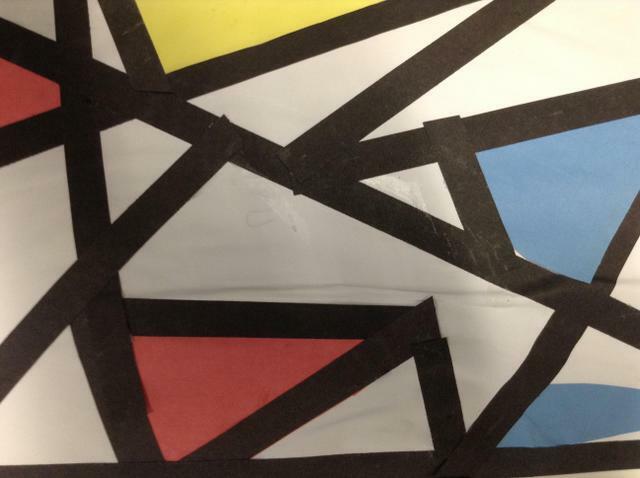 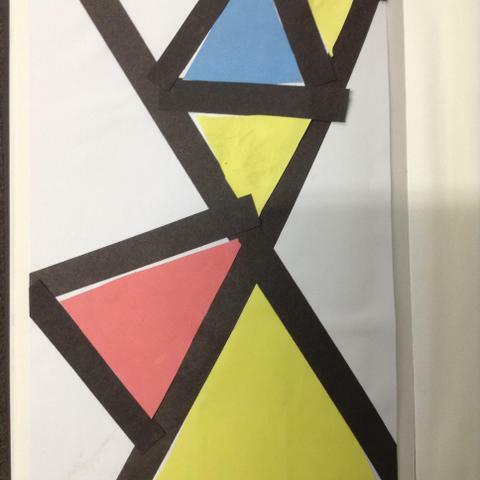 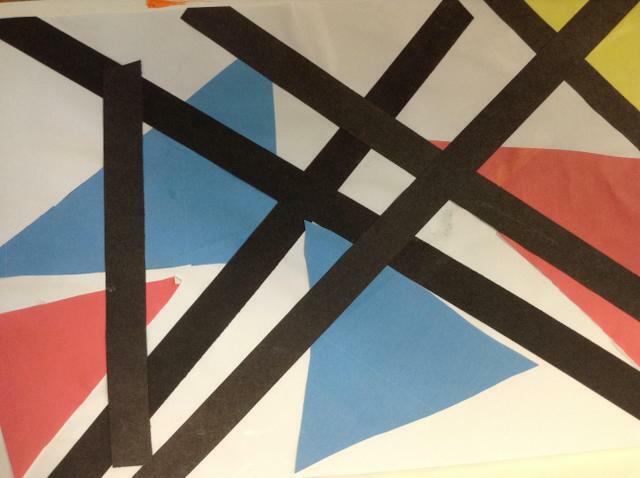 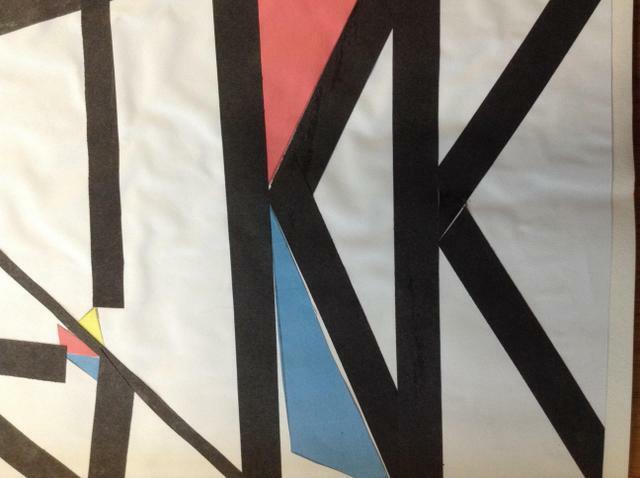 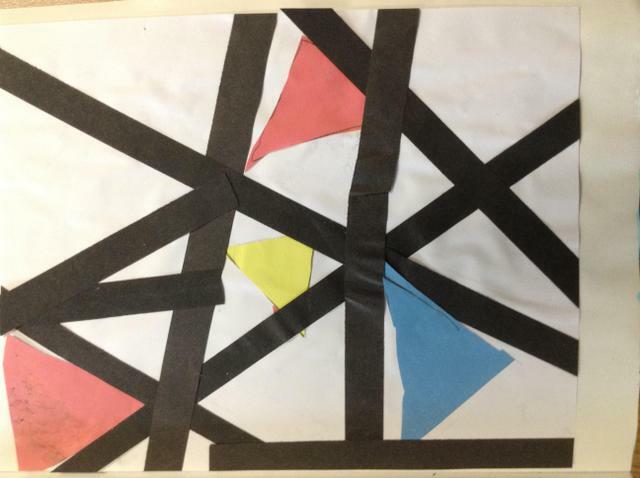 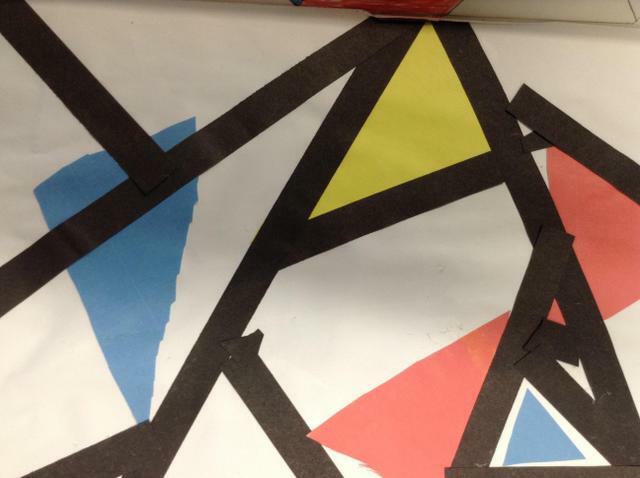 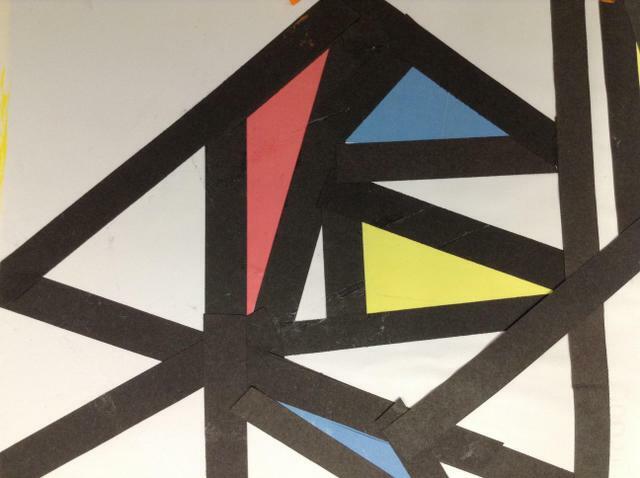 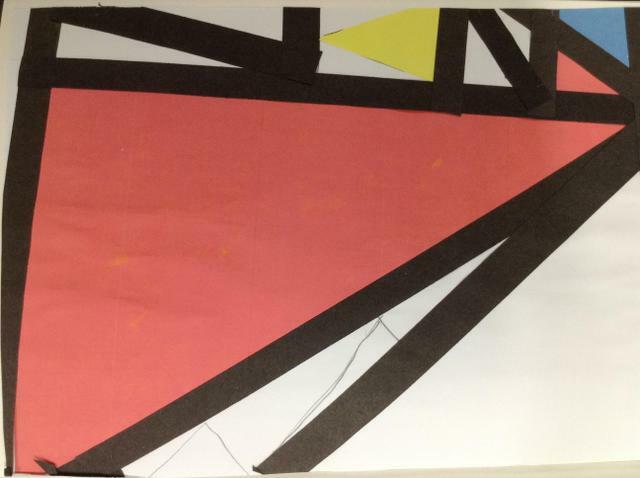 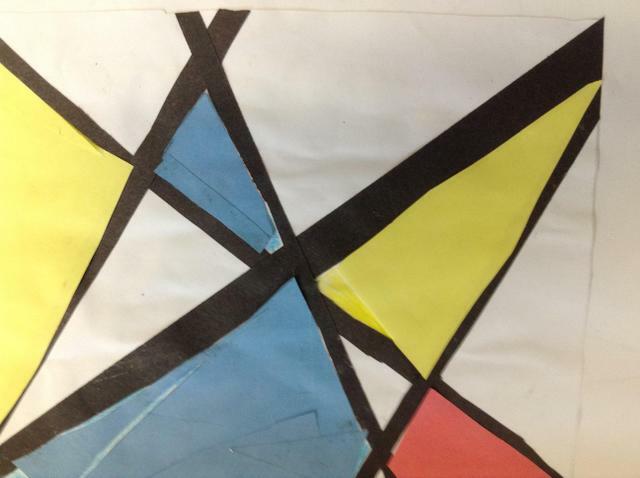 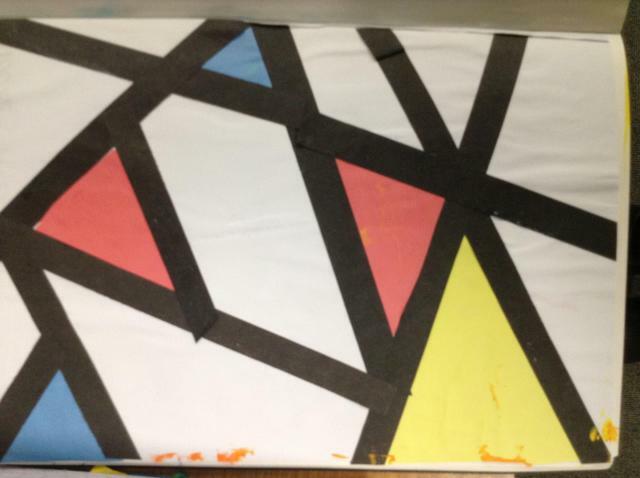 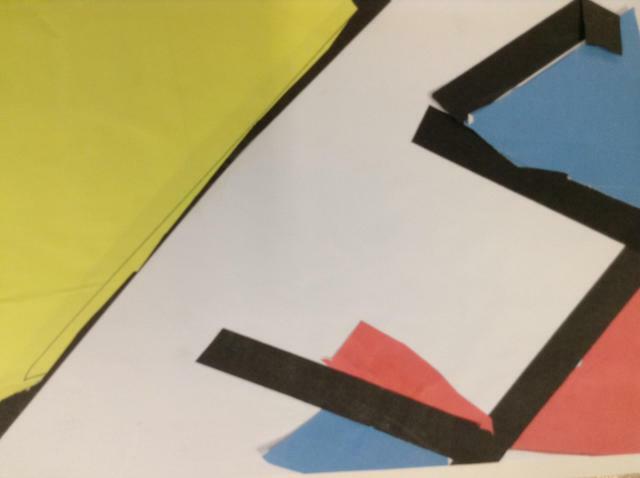 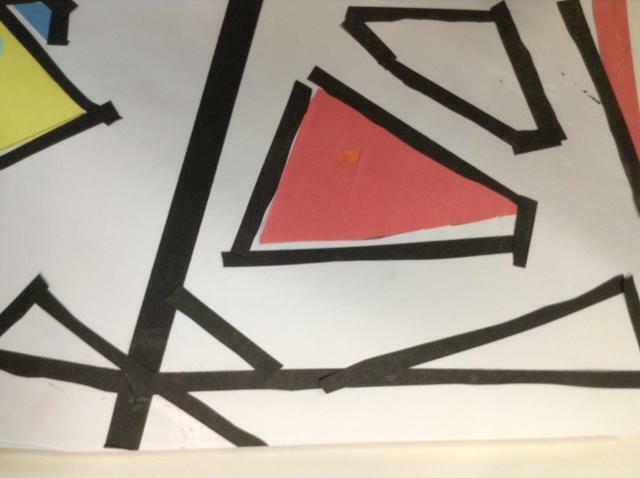 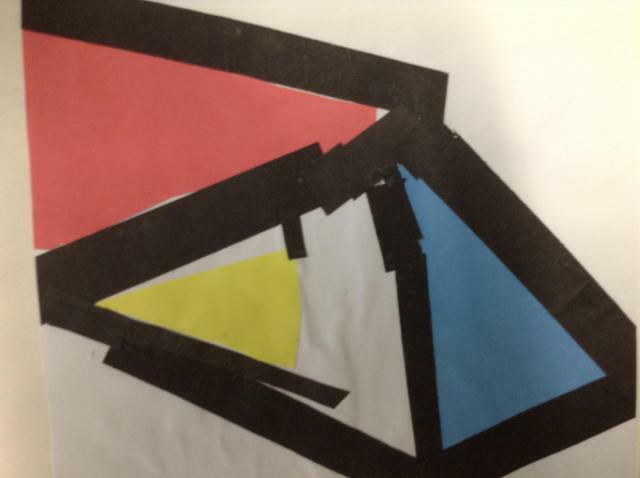 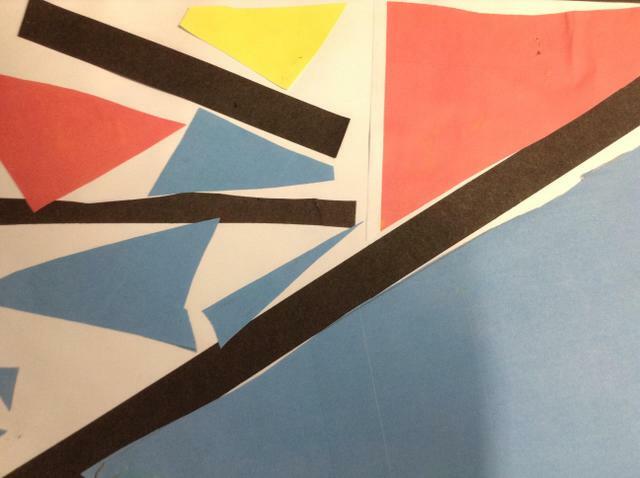 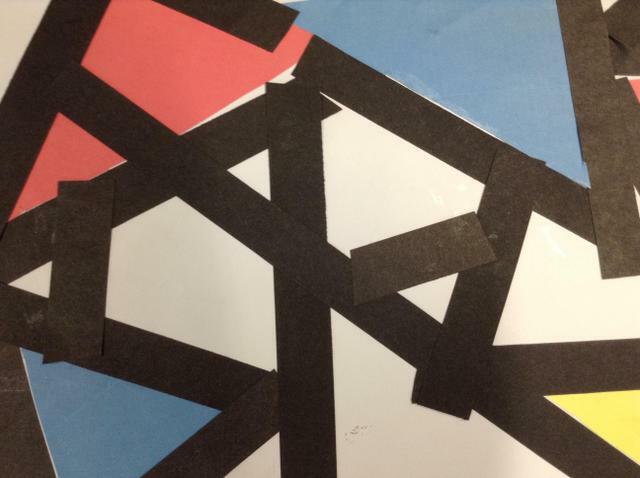 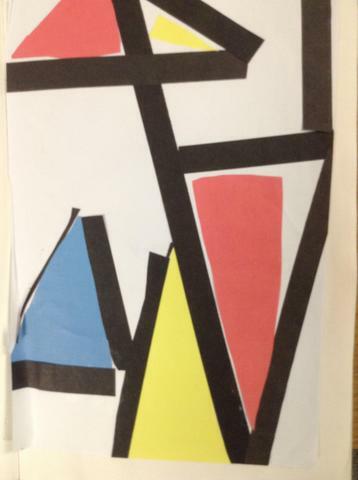 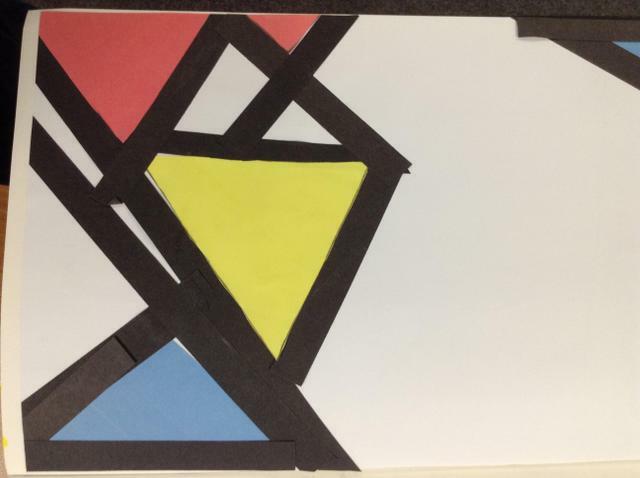 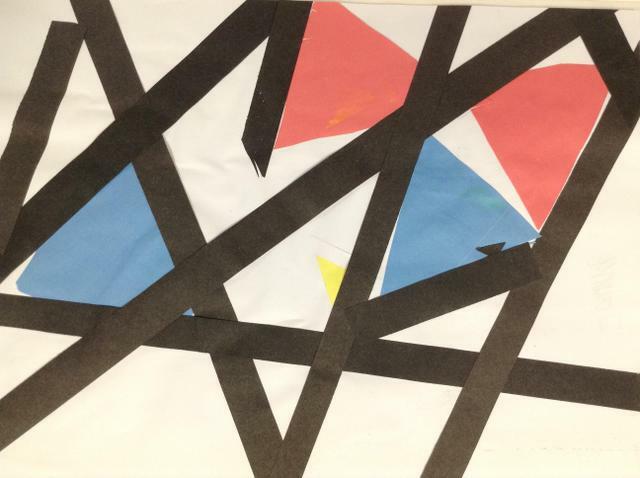 During Number Day we explored the work of Piet Mondrian and created our own art work using triangles instead of squares. 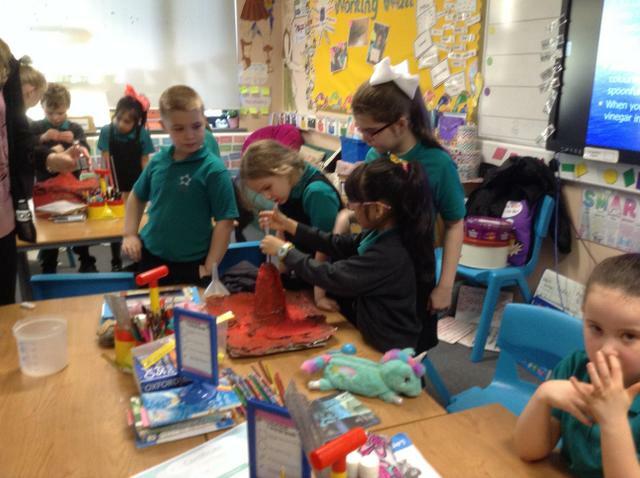 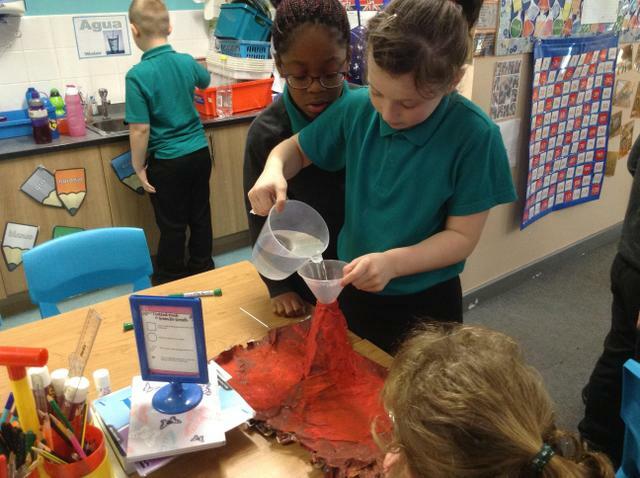 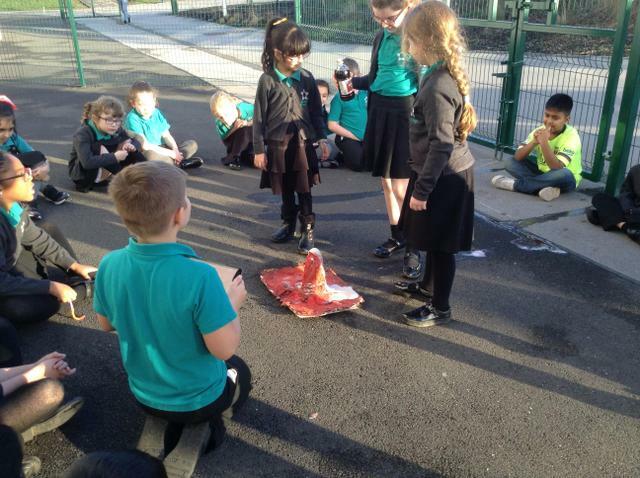 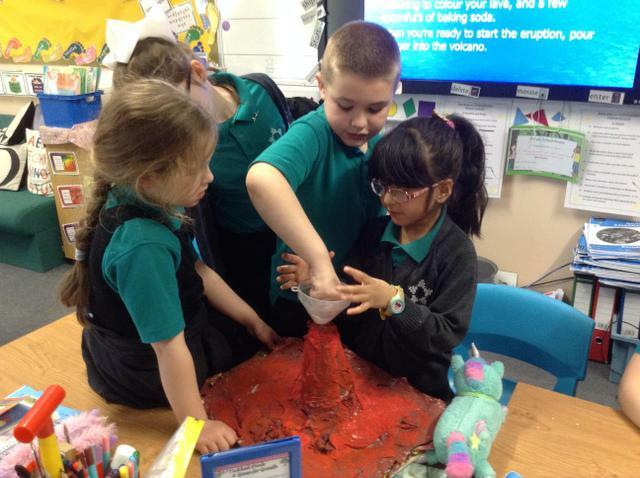 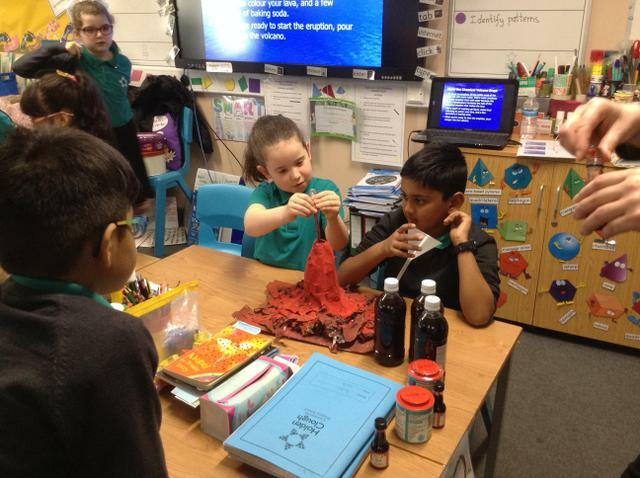 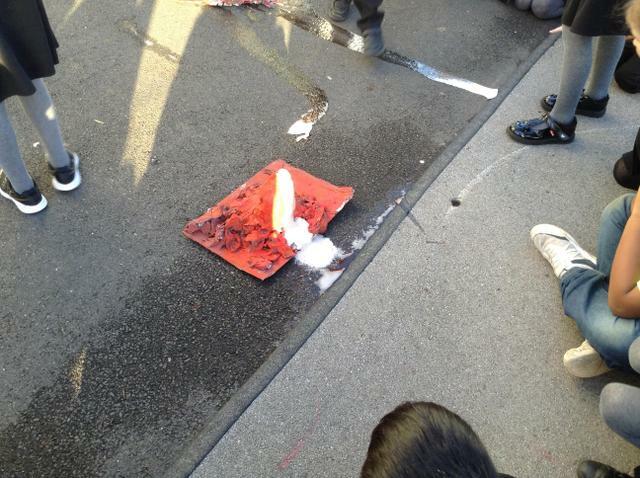 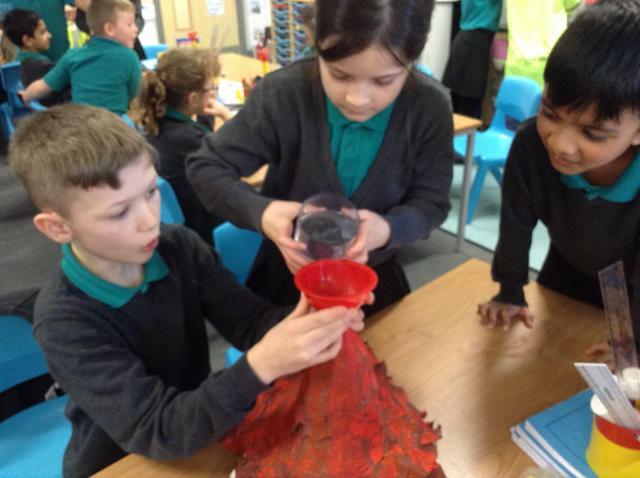 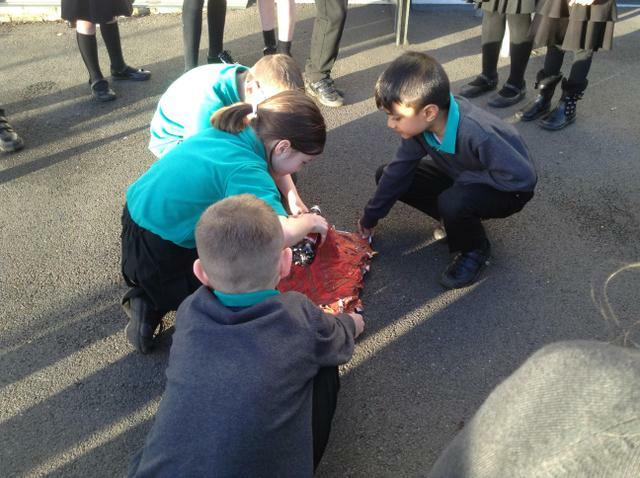 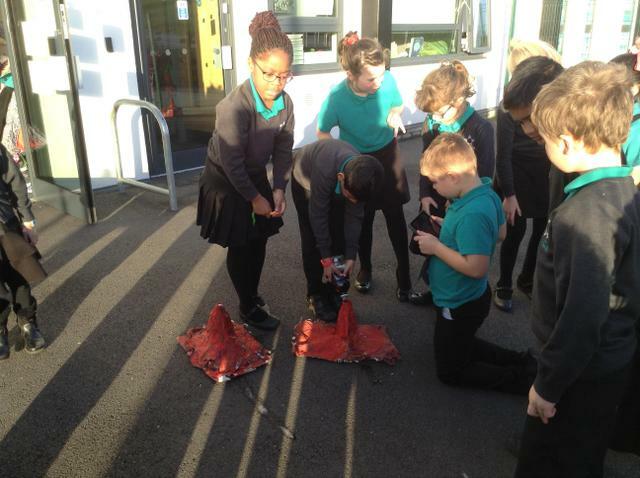 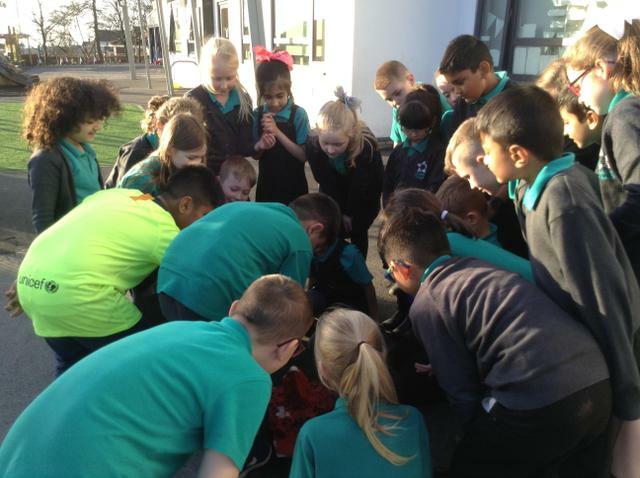 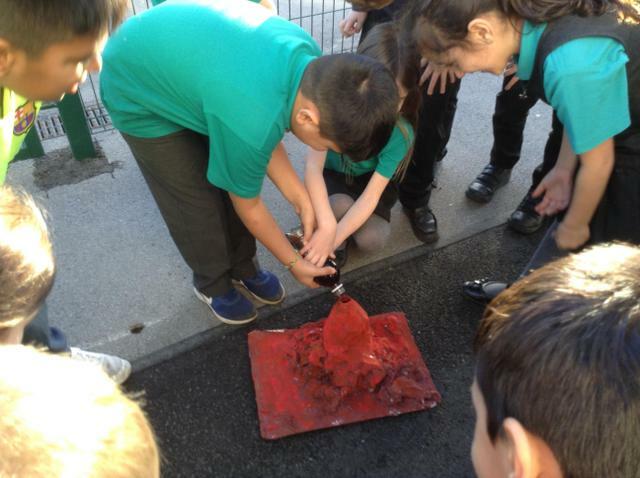 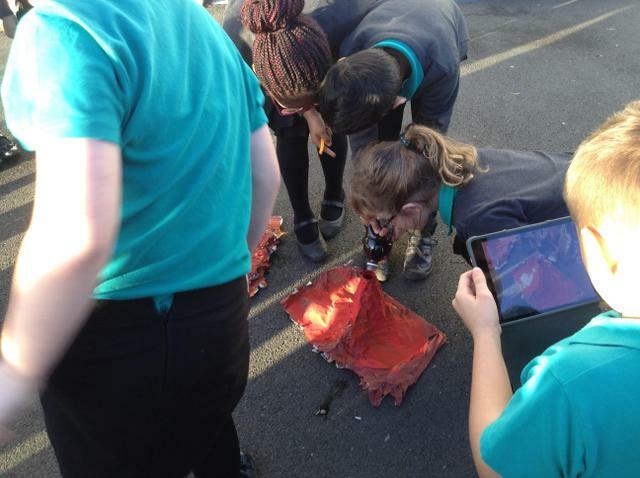 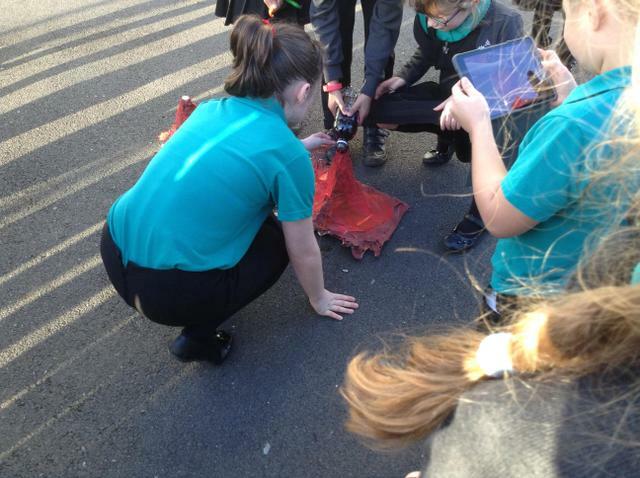 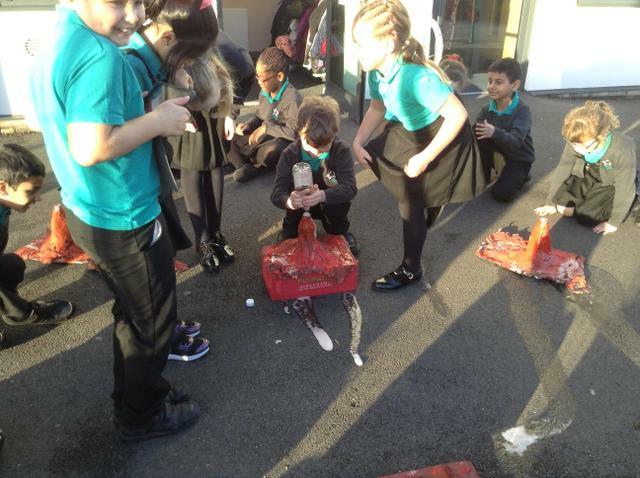 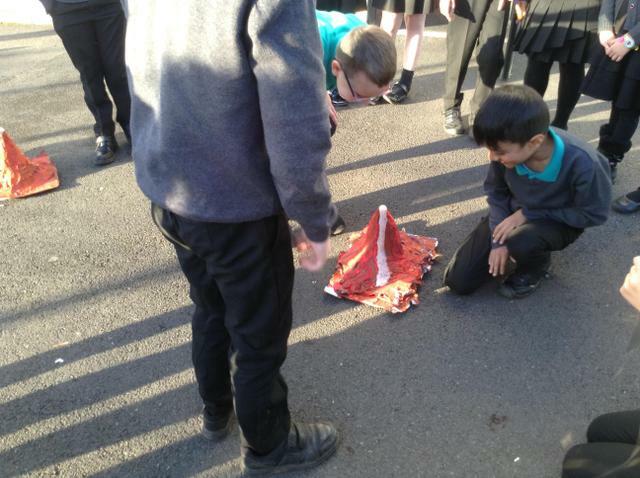 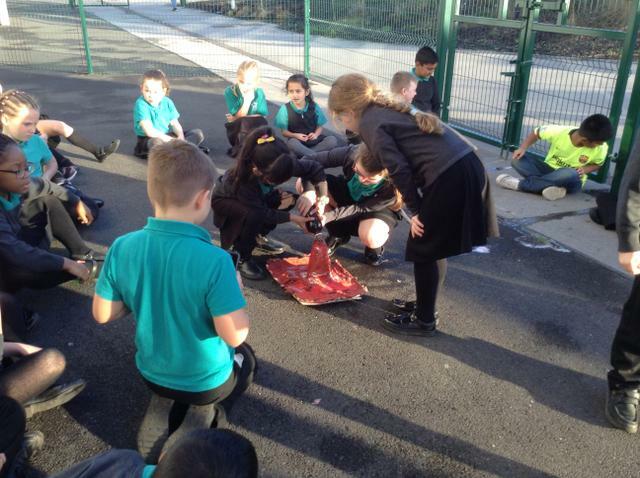 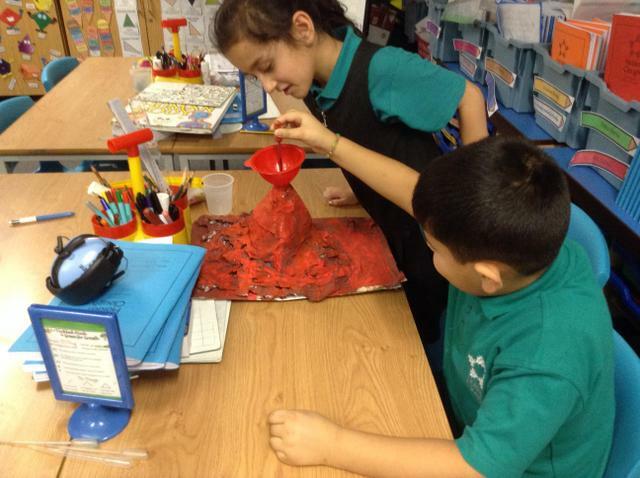 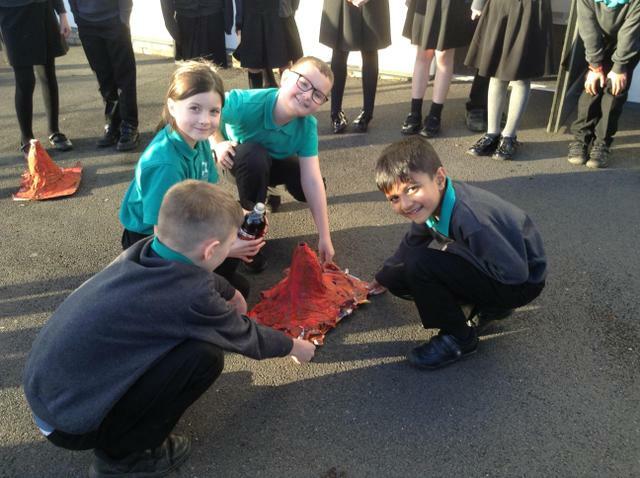 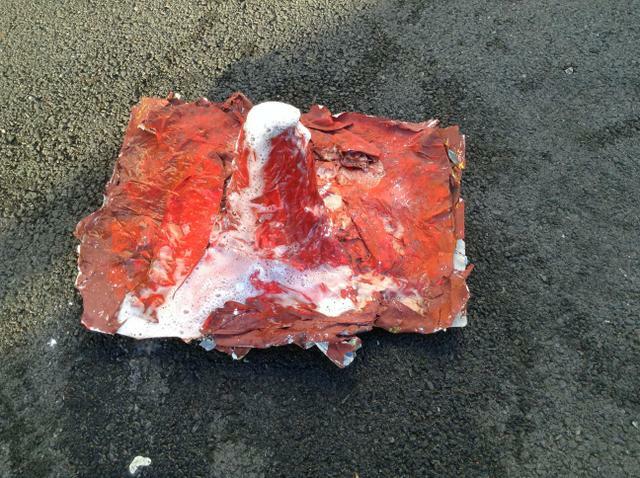 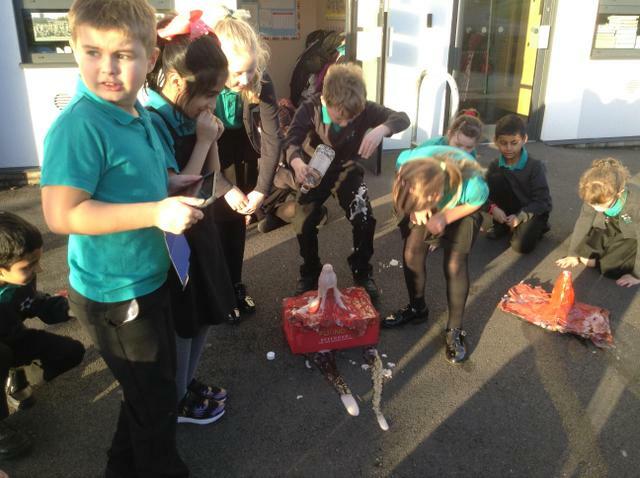 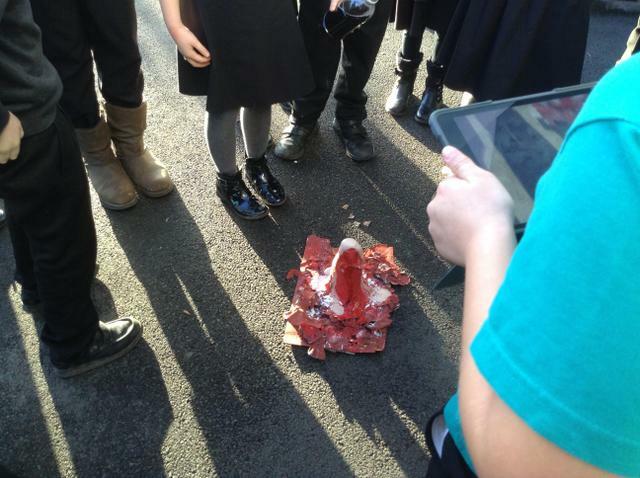 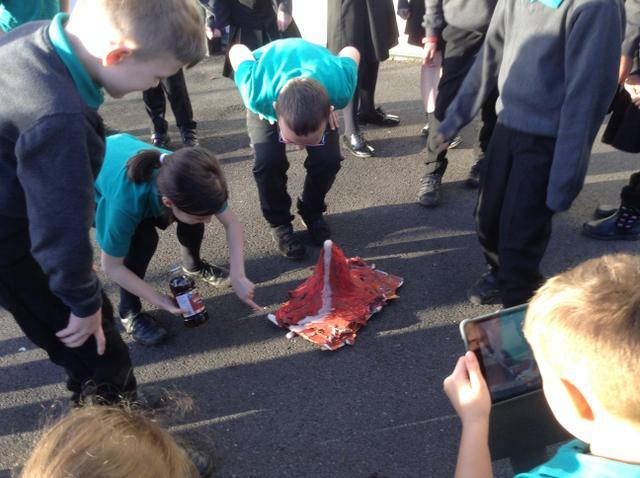 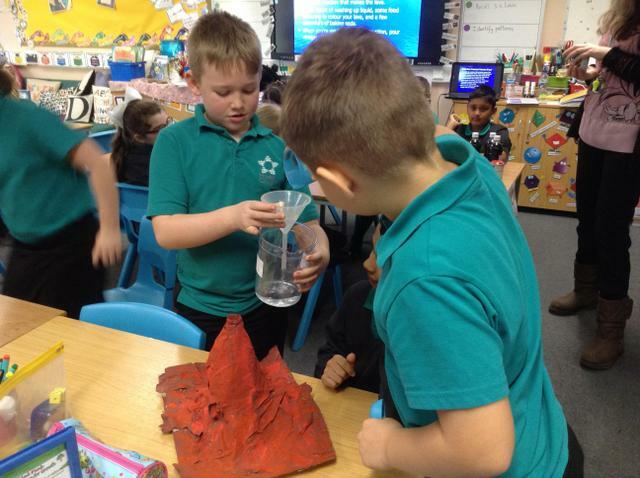 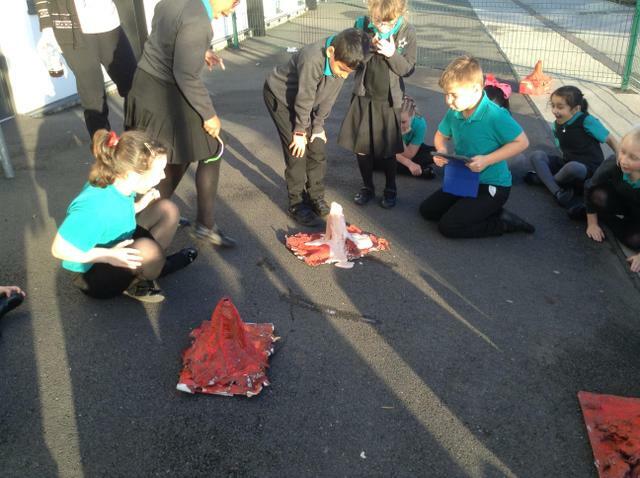 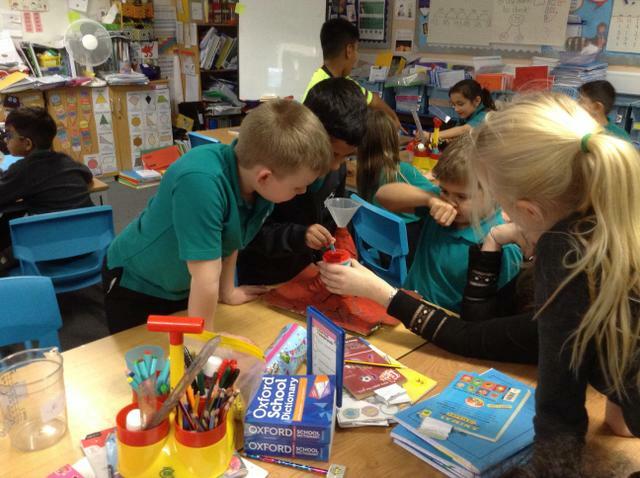 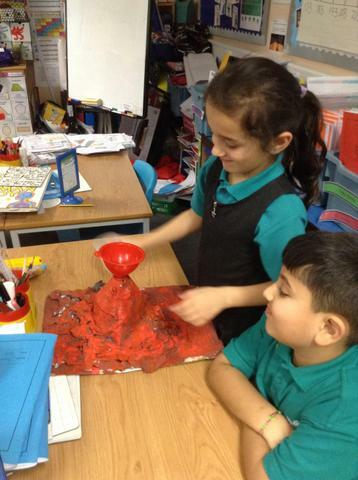 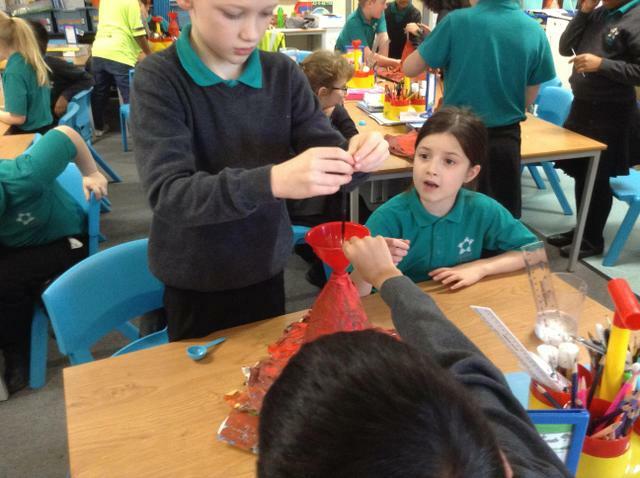 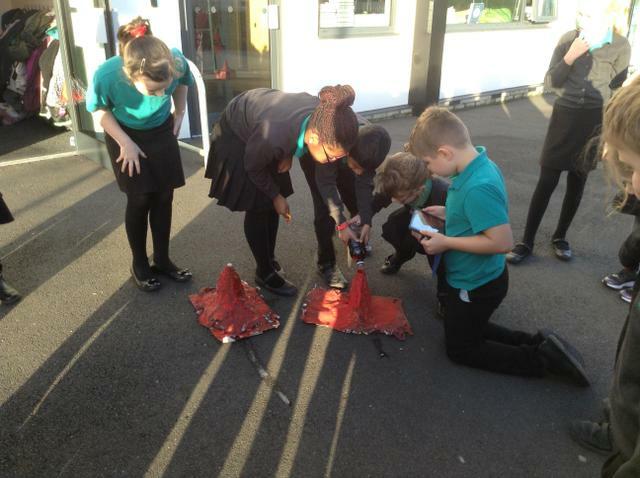 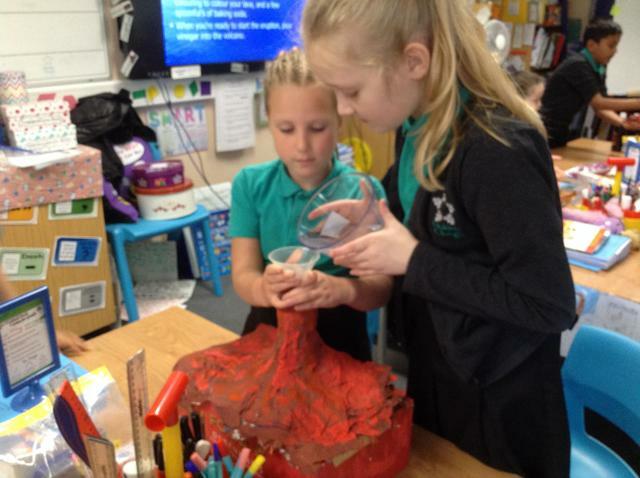 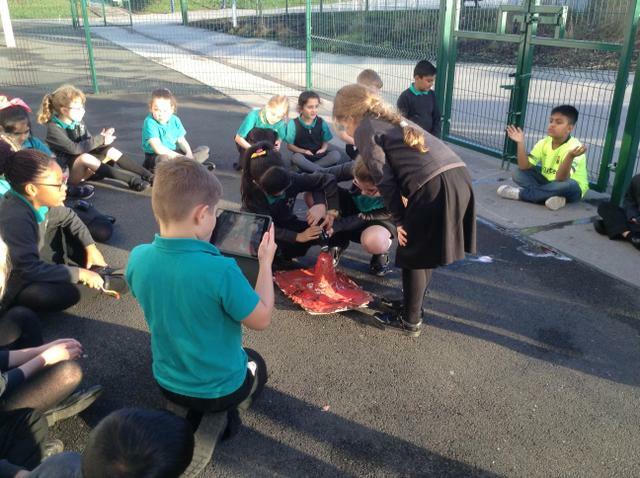 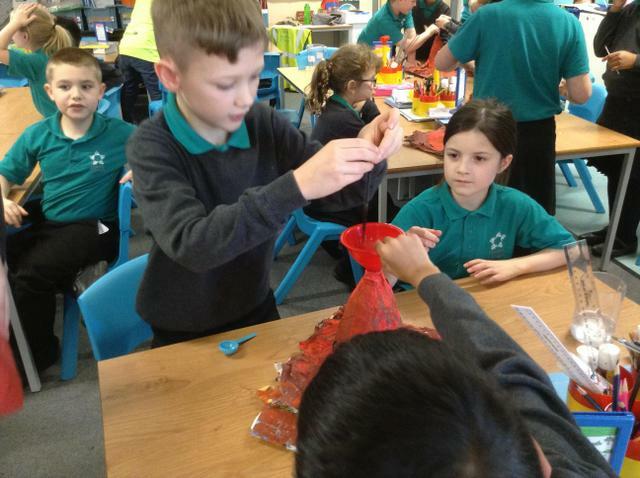 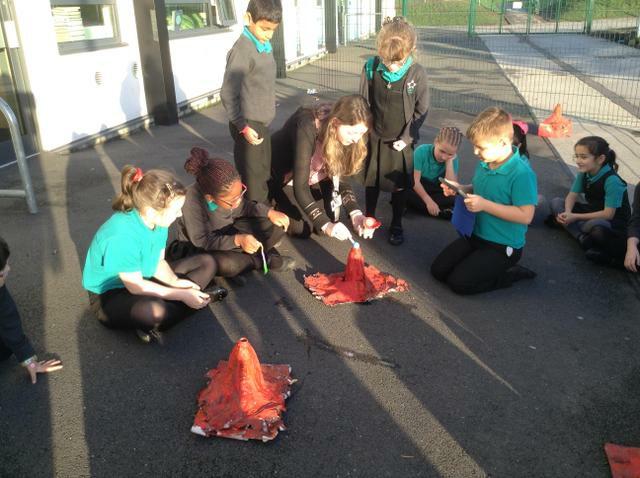 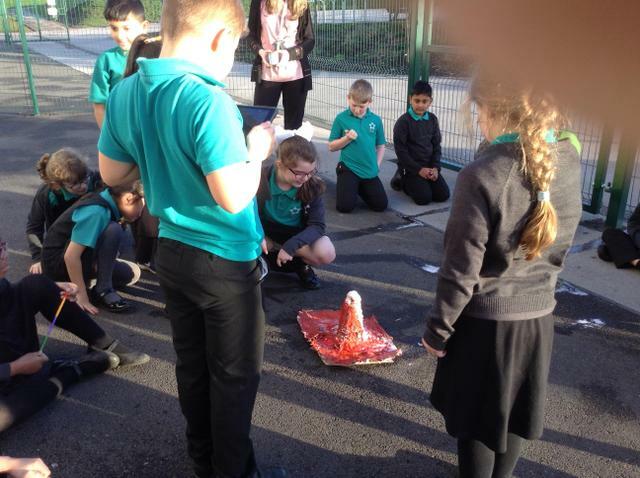 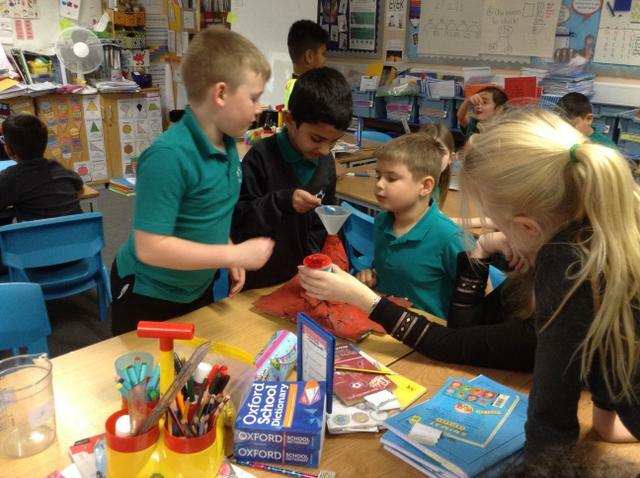 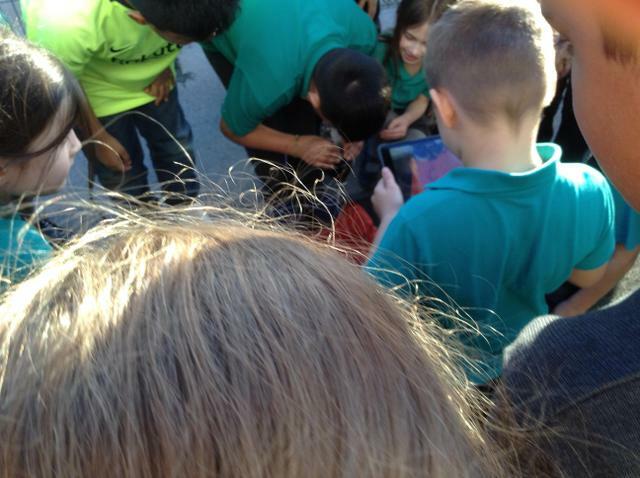 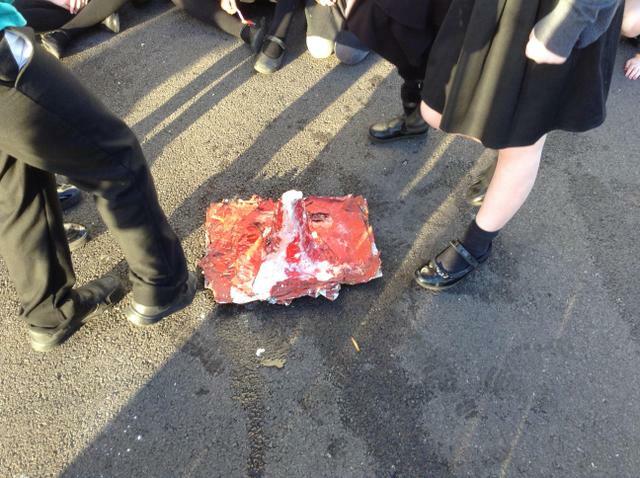 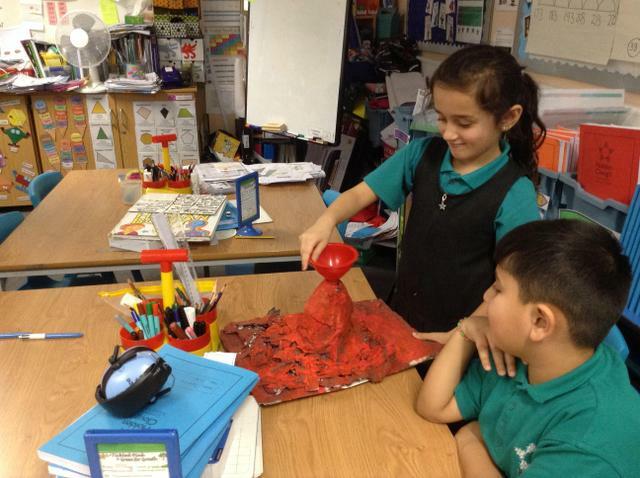 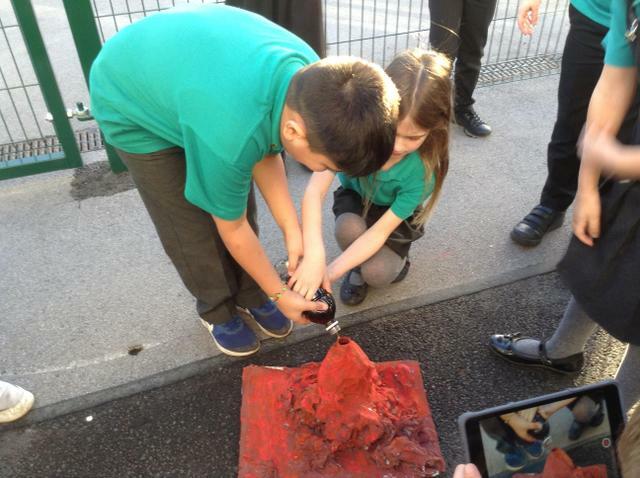 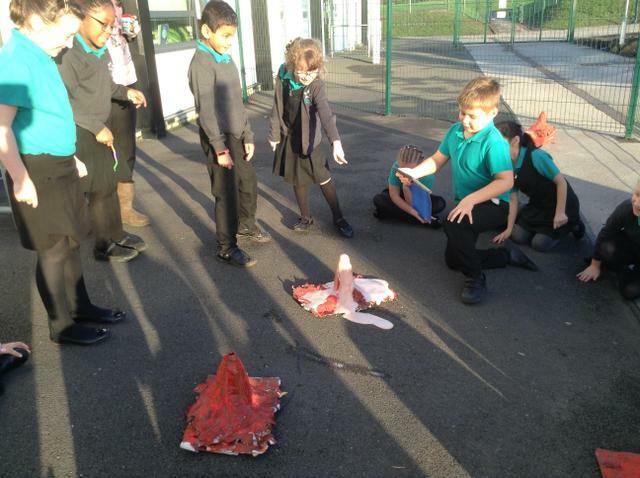 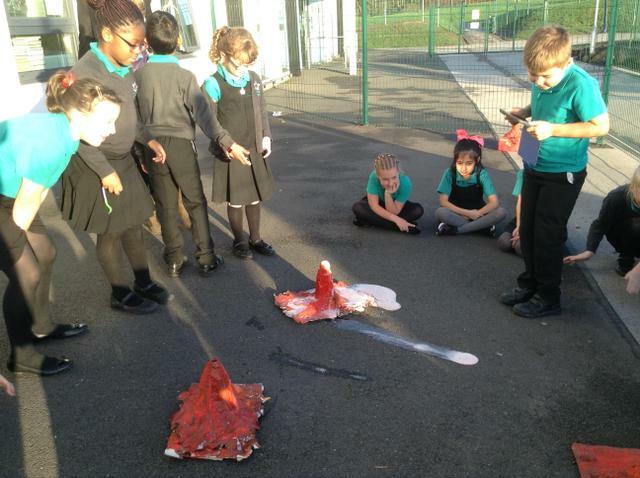 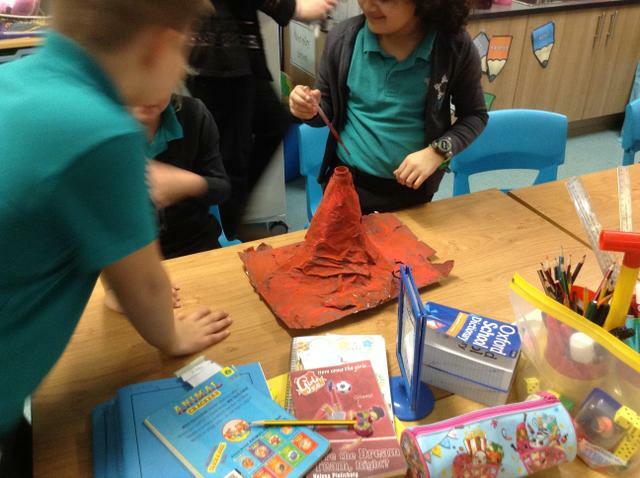 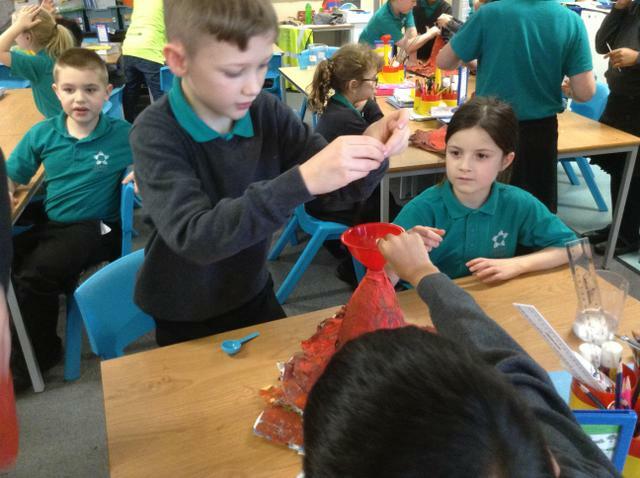 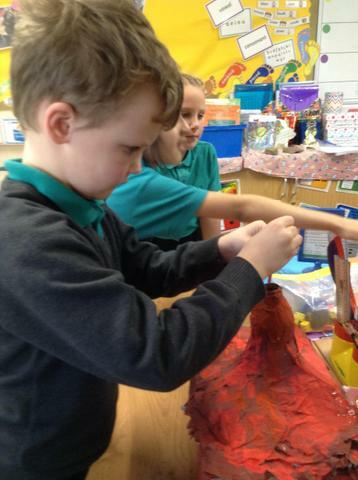 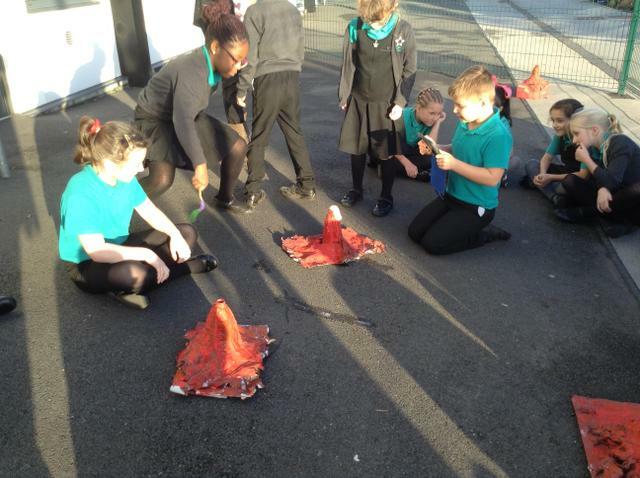 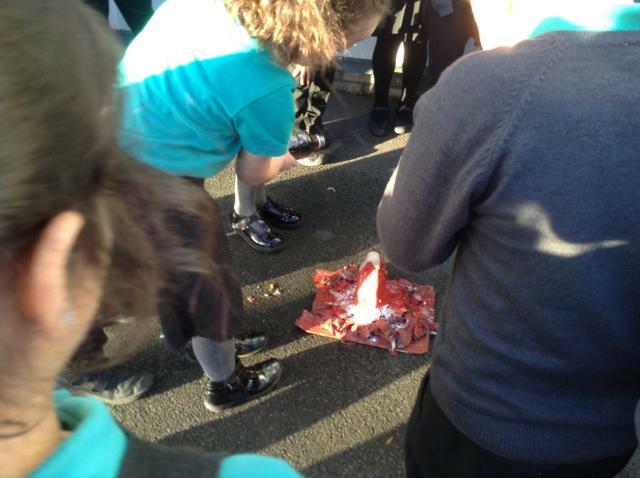 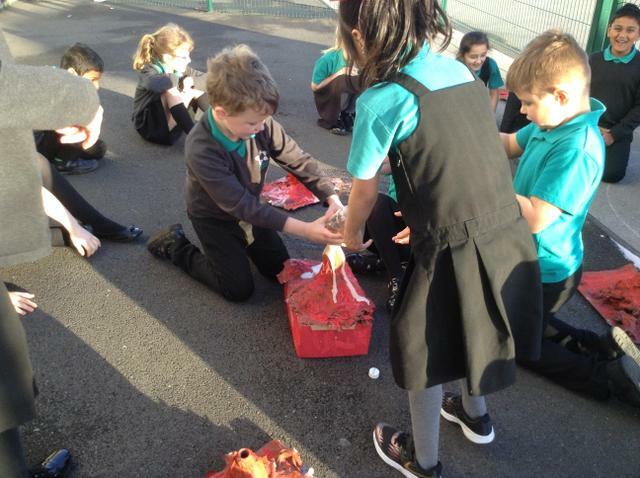 We created a chemical reaction...our volcanoes erupted! 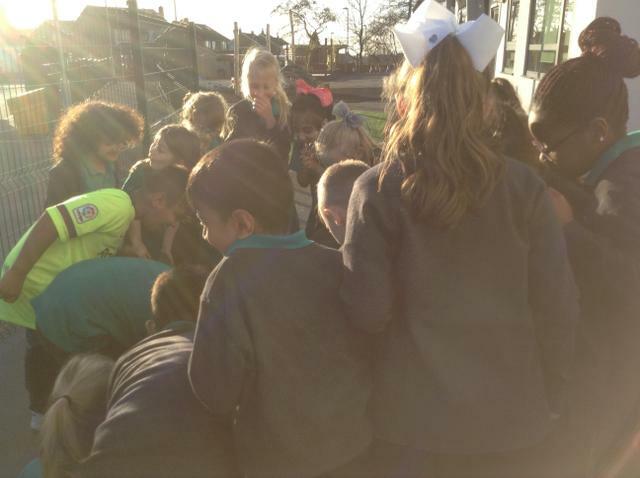 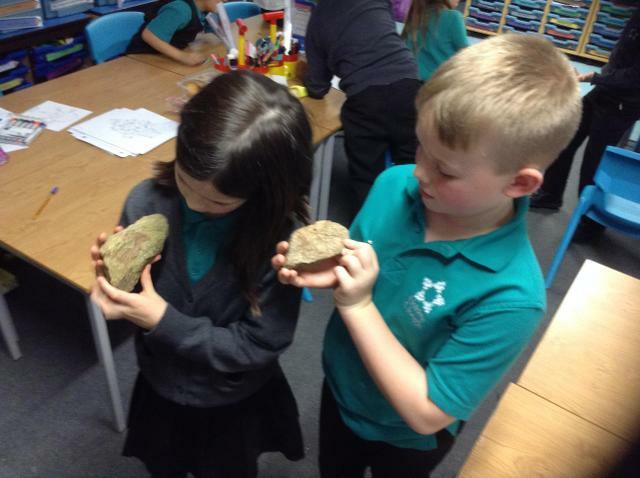 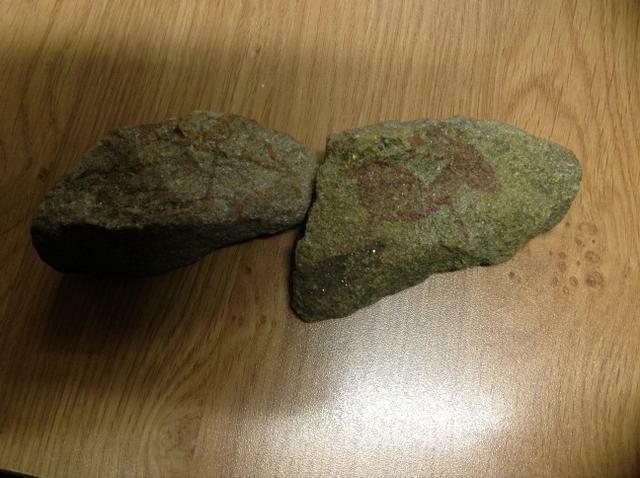 We found some strange looking rocks in our classroom. 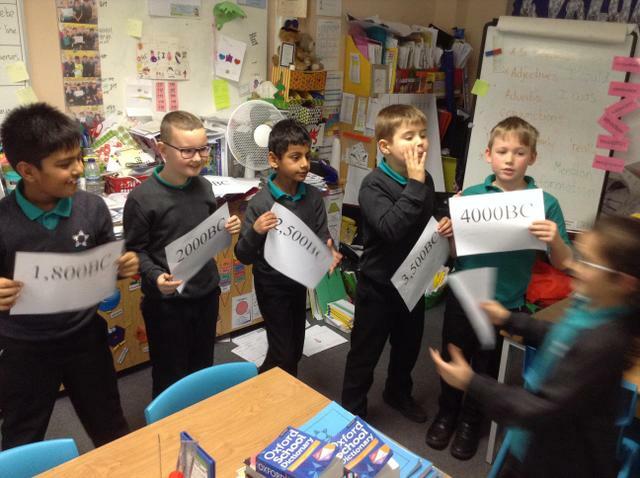 Where did they come from? 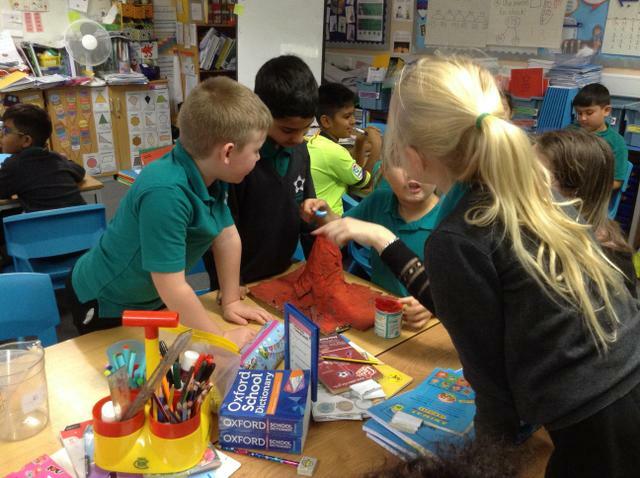 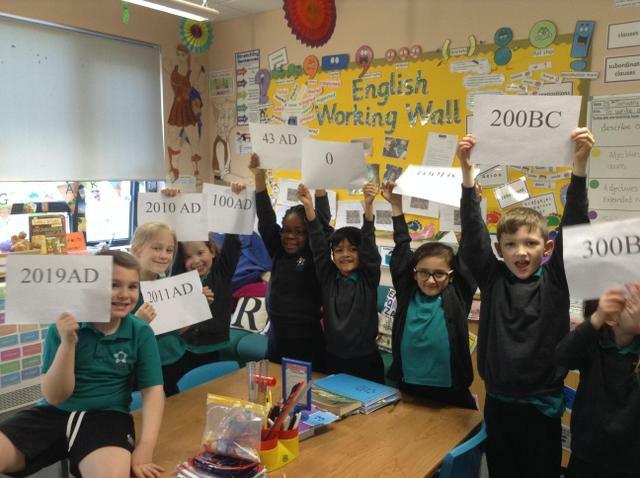 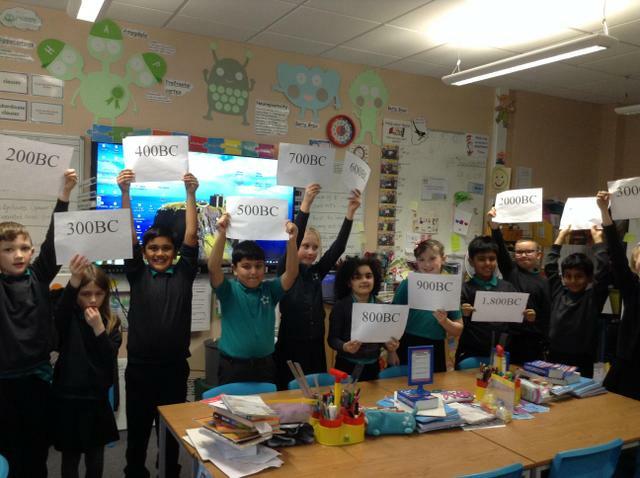 How did they get in our classroom? 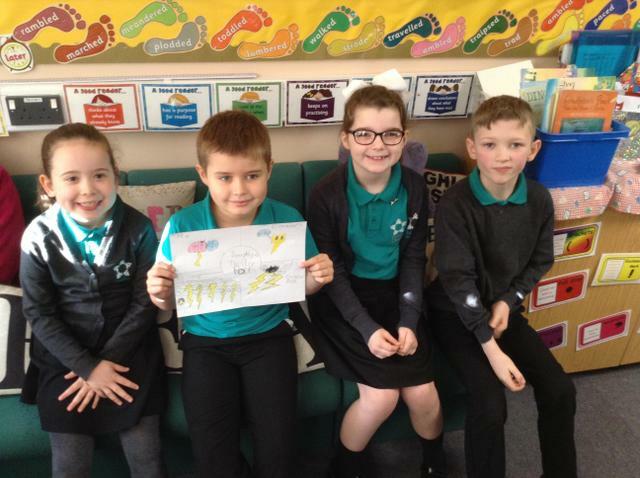 What were the strange pictures drawn on them?